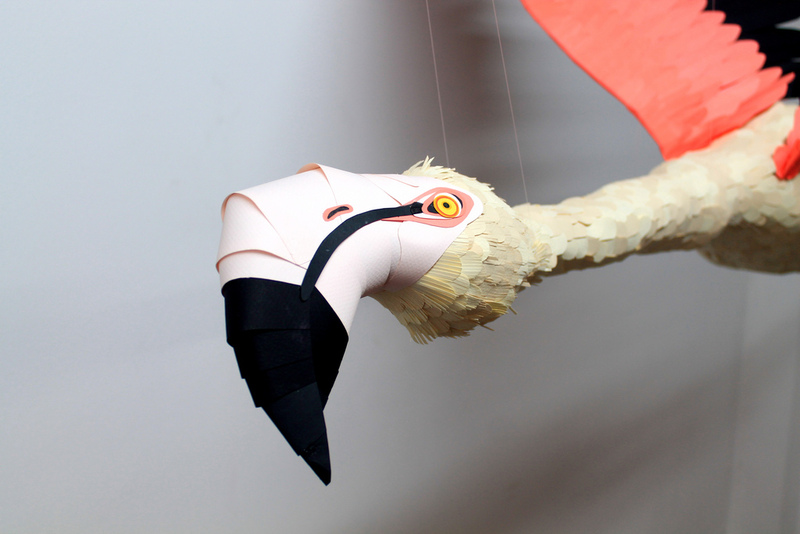 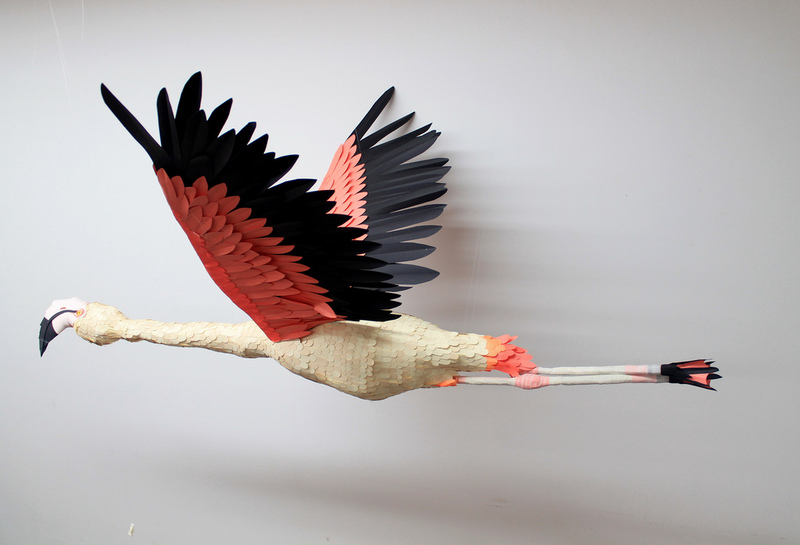 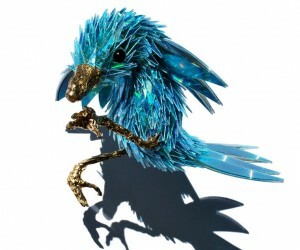 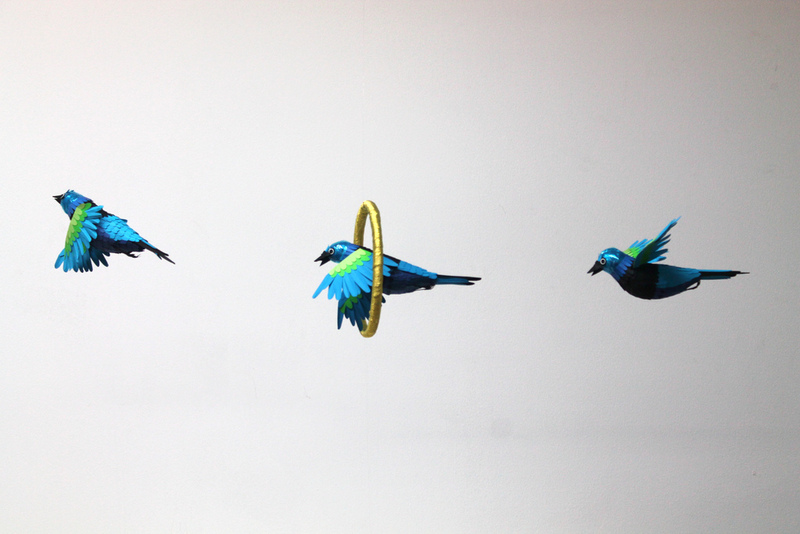 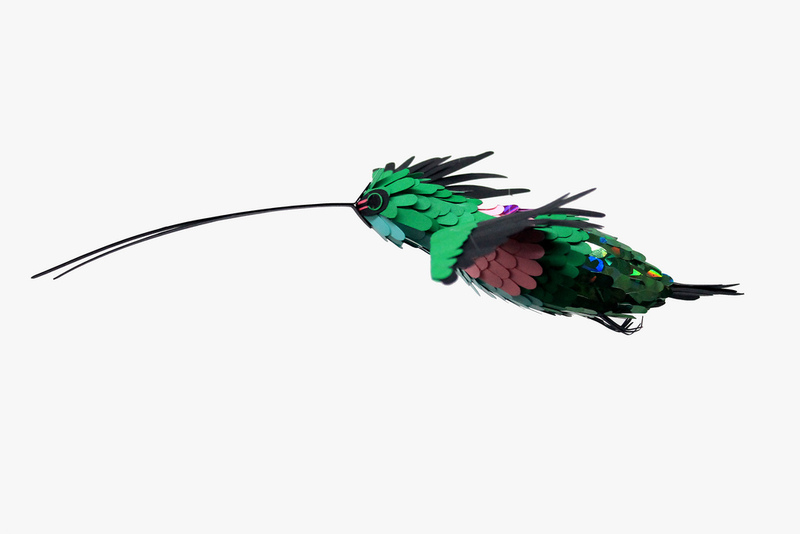 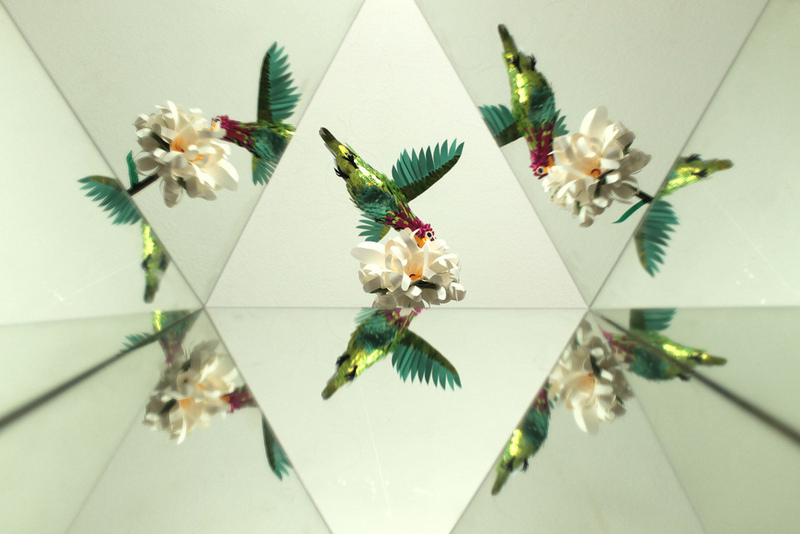 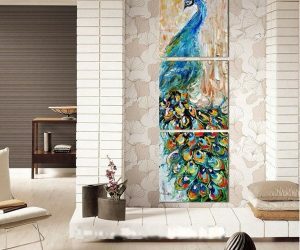 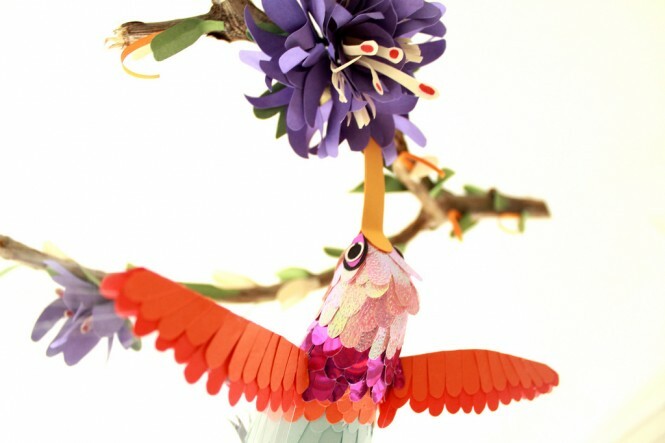 Take a flight of fancy with this flock of feathered friends! 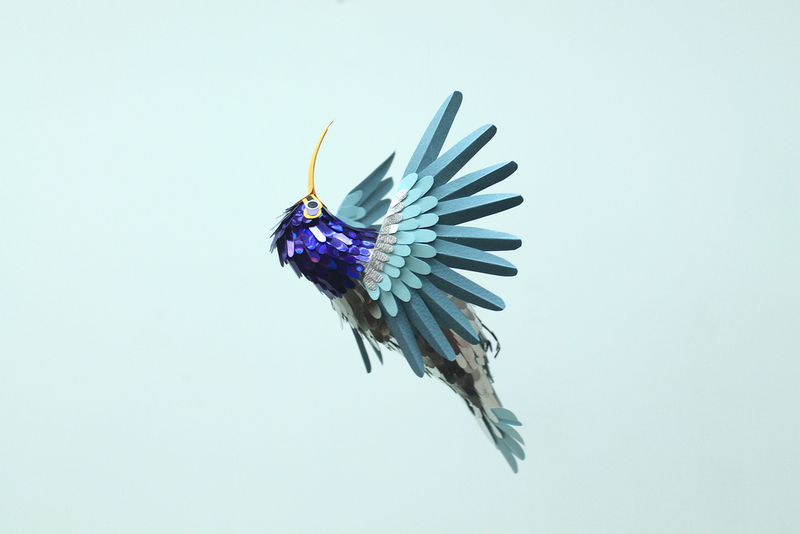 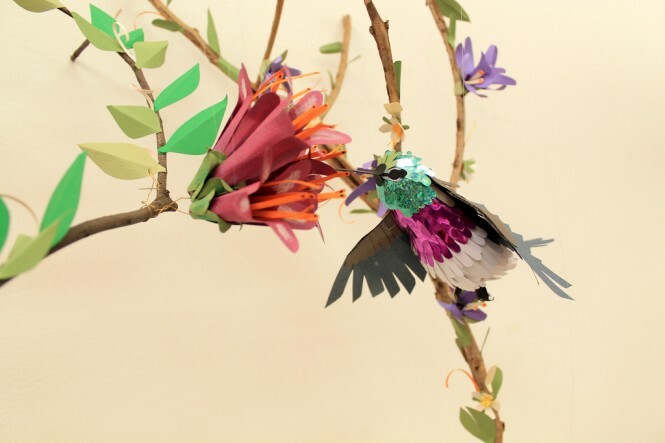 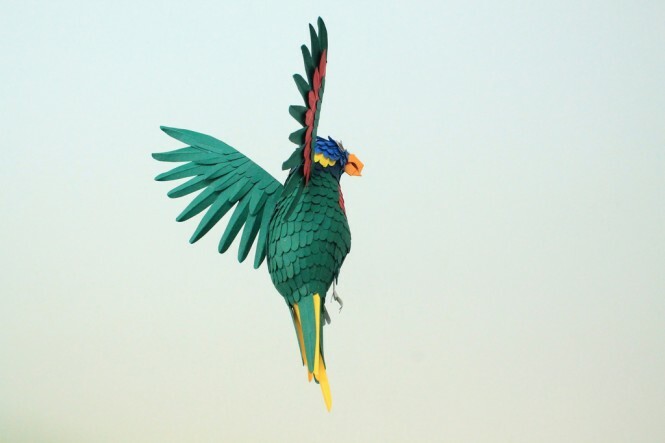 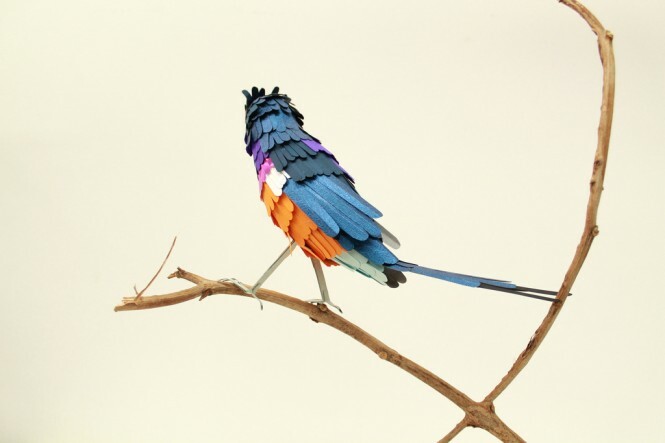 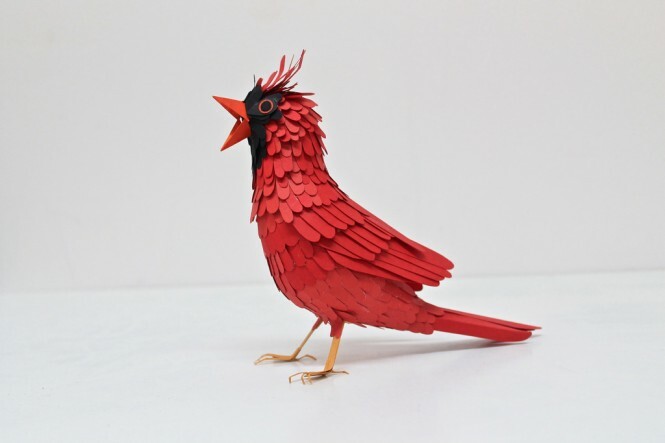 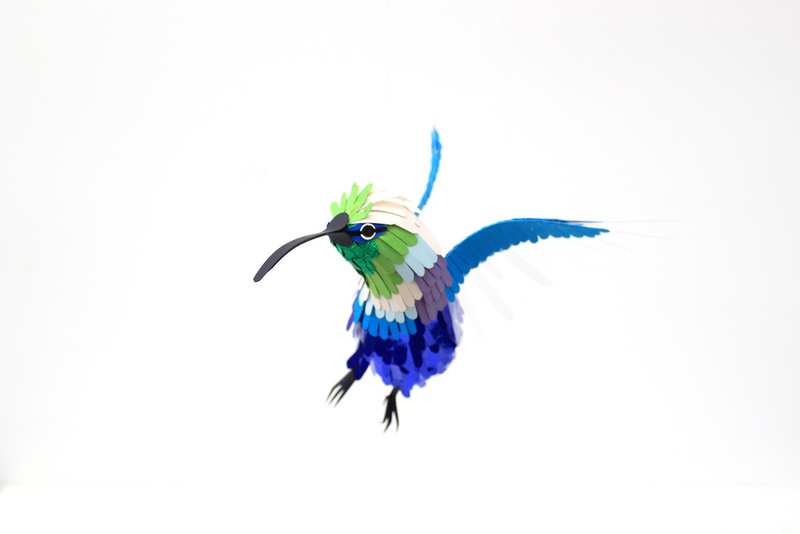 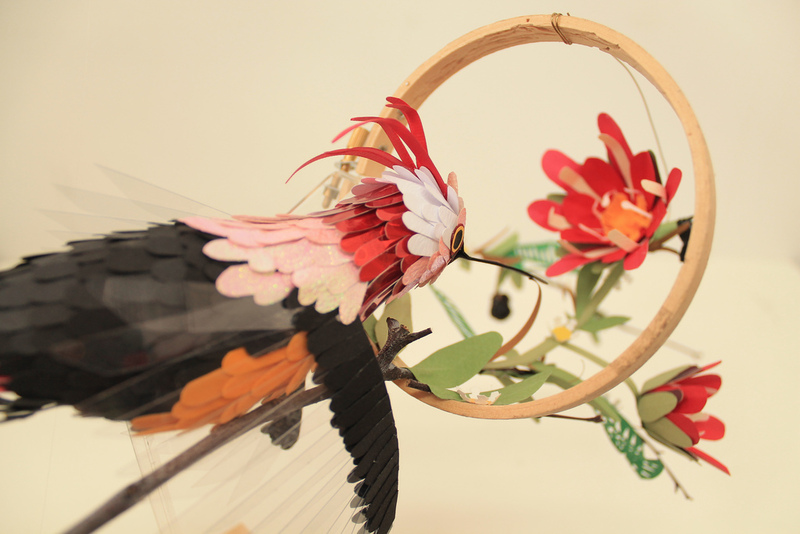 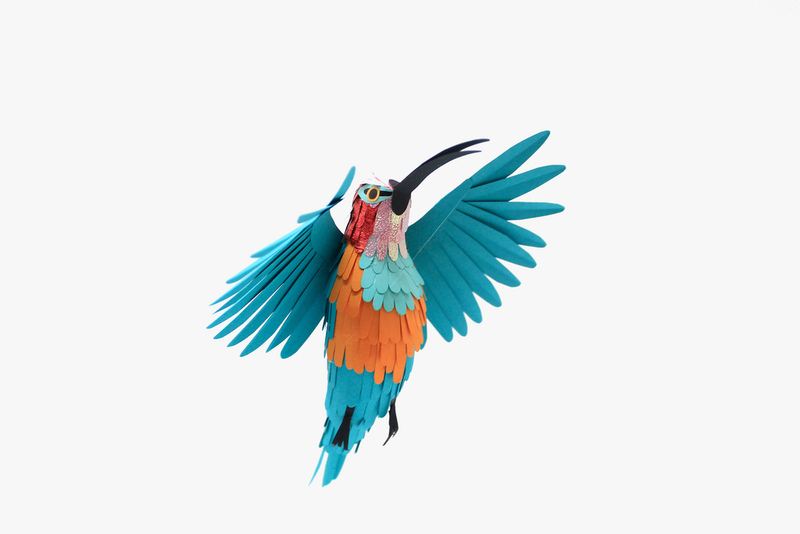 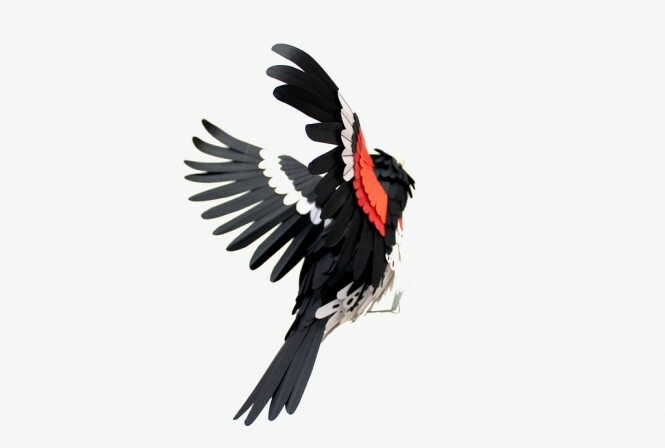 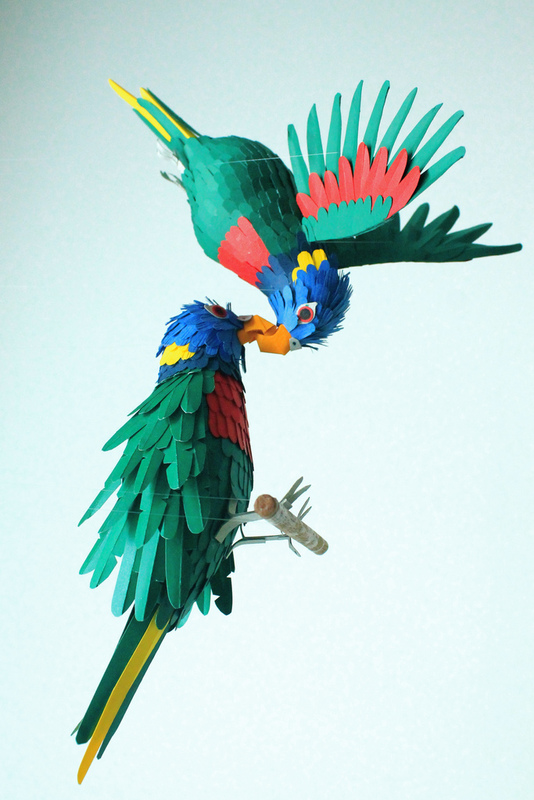 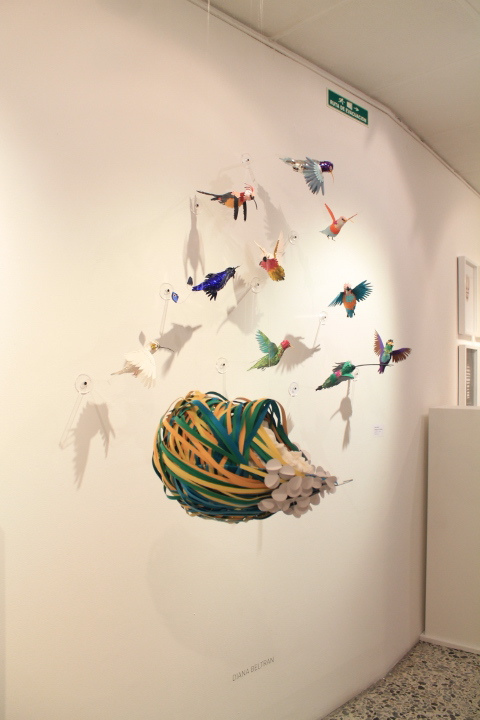 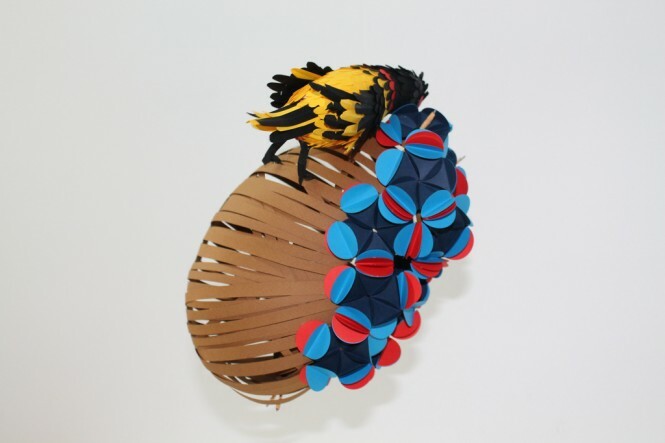 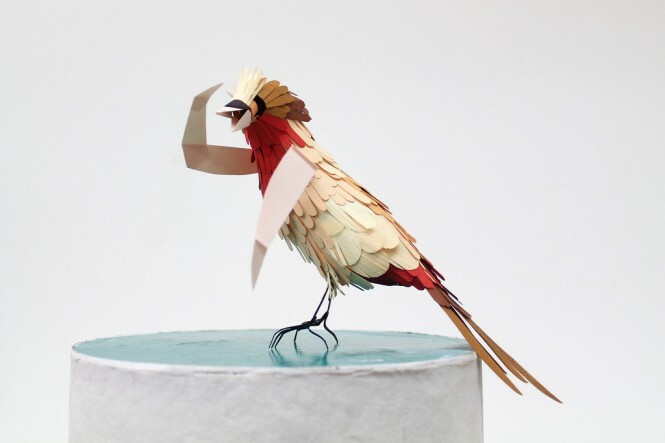 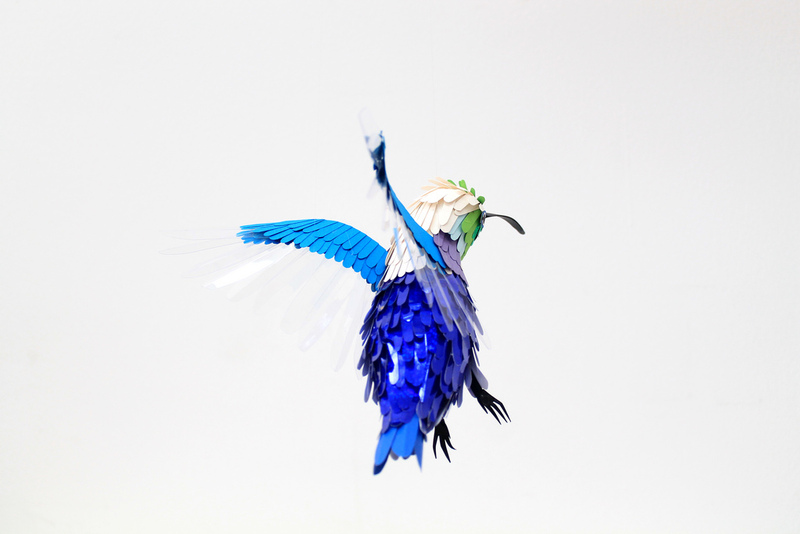 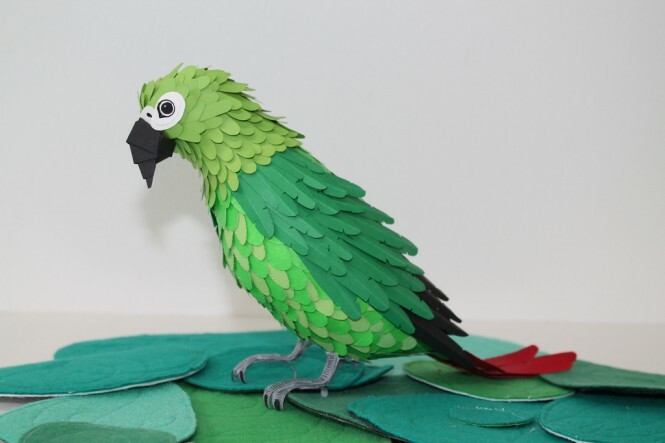 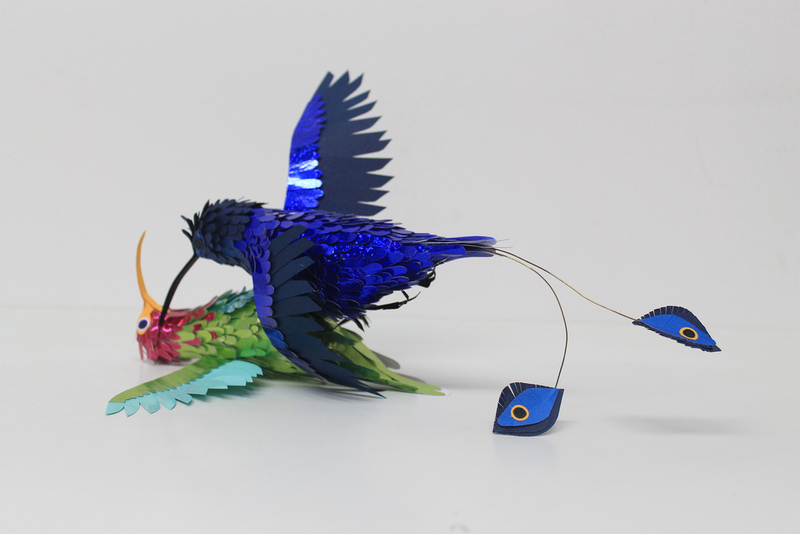 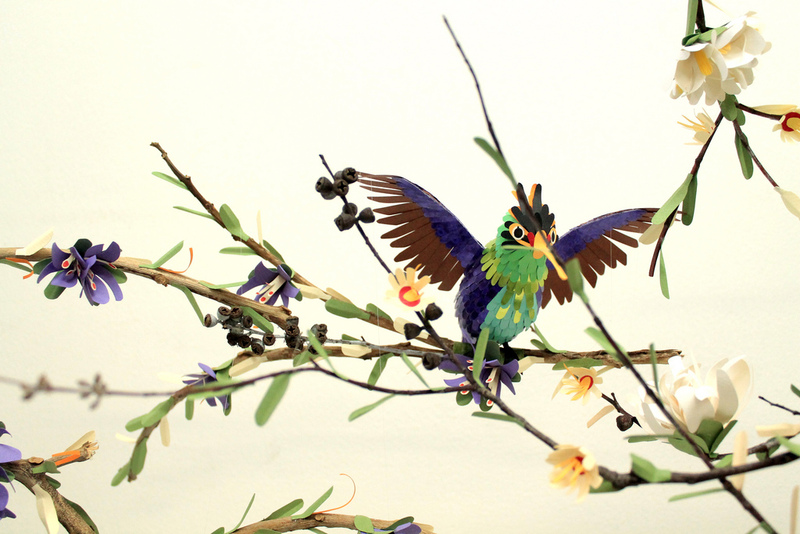 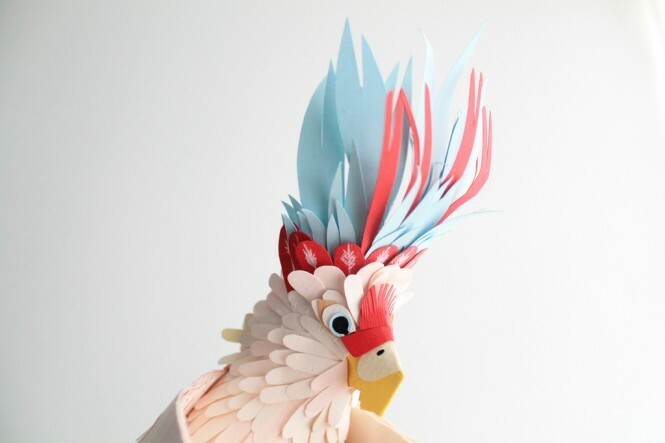 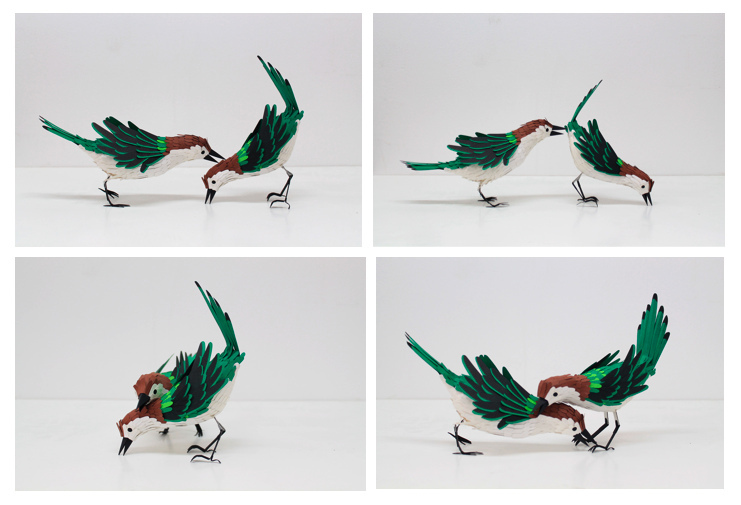 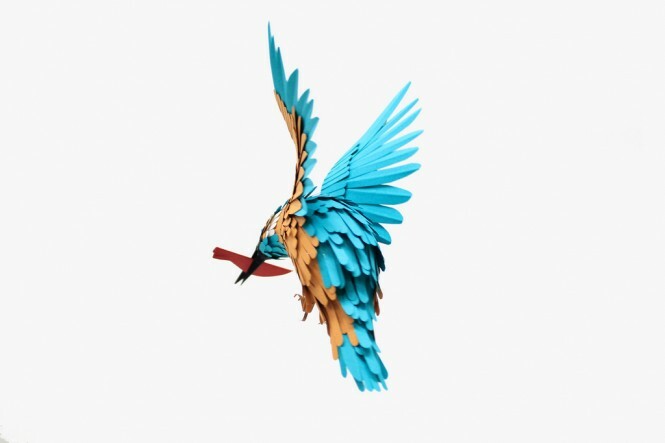 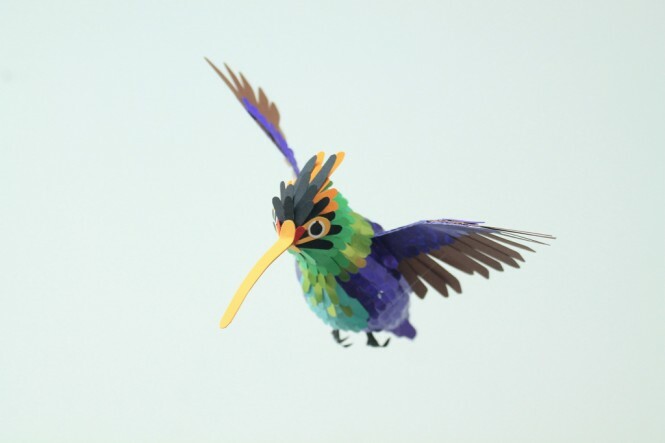 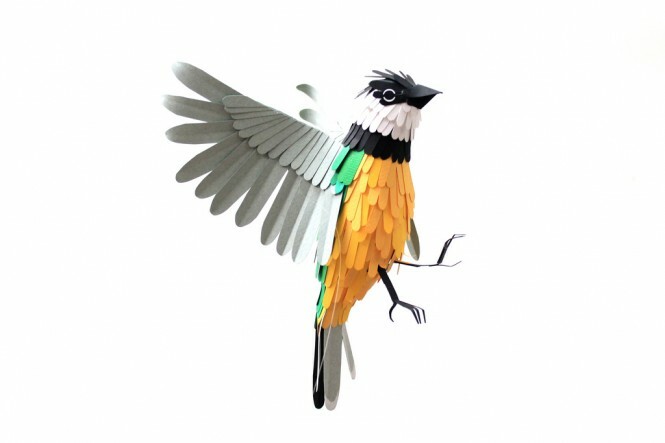 In fact, these colorful bird specimens are not so much on the feathery side as they are papery, because these winged beauties are intricate paper sculptures, painstakingly pieced together by talented artist and illustrator Diana Beltran Herrera, from Bogota, Columbia. 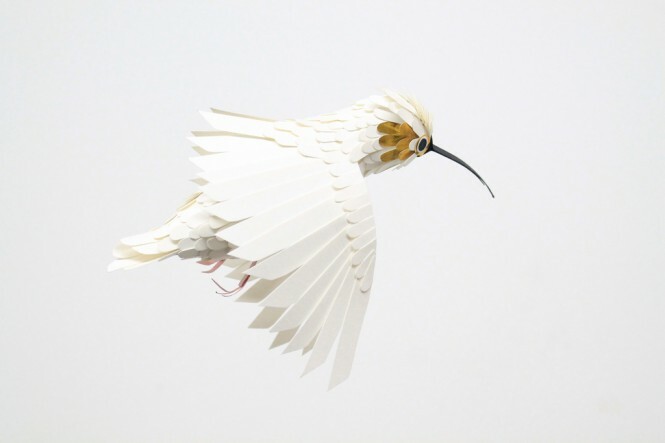 Herrera has named this beautiful biodegradable collection ‘Mathematics For Reality’, and has recreated her beloved birds in extreme detail, cutting and layering to perfection. 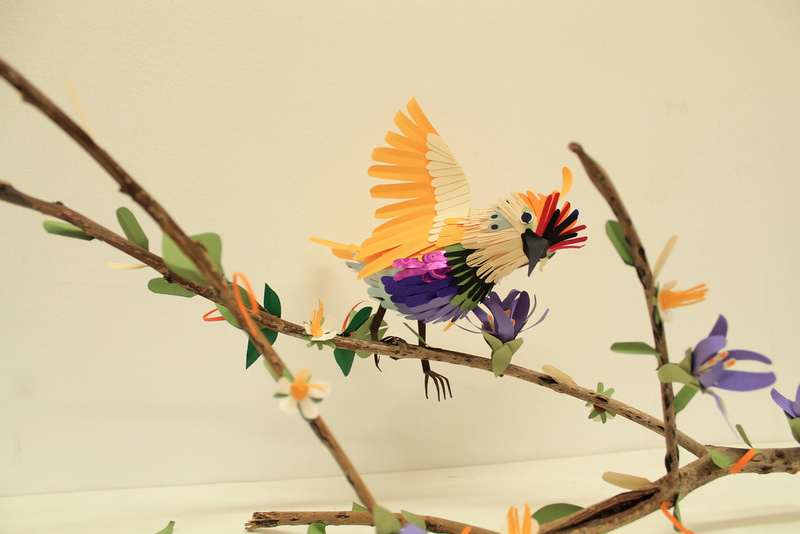 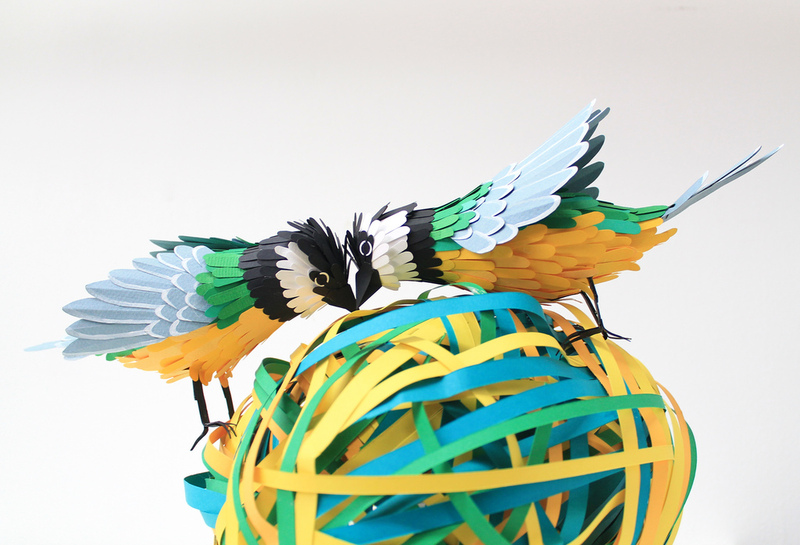 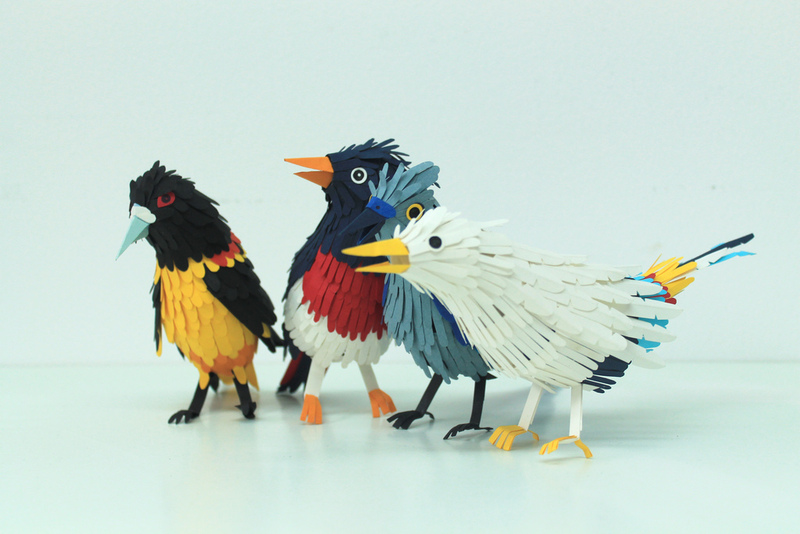 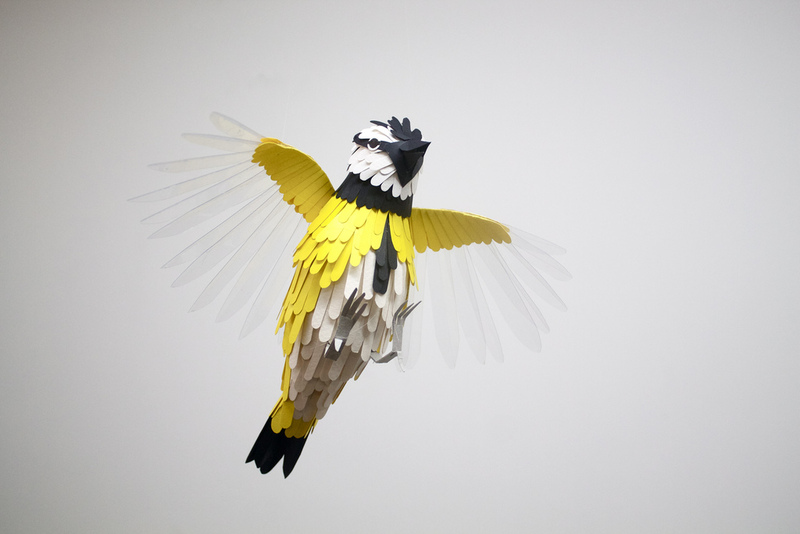 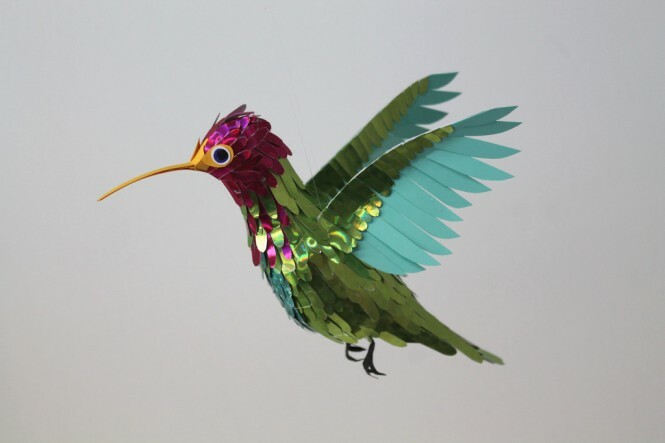 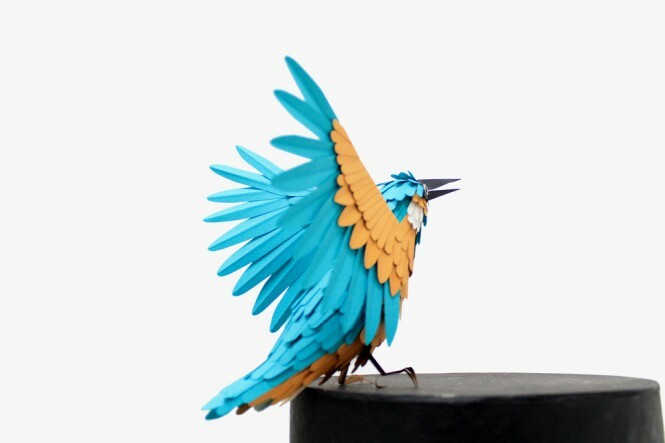 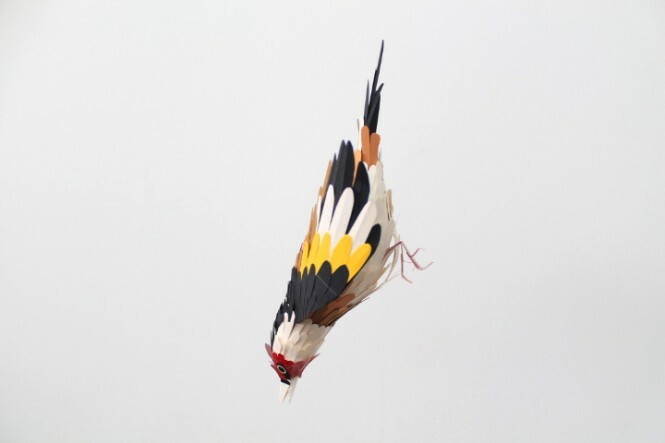 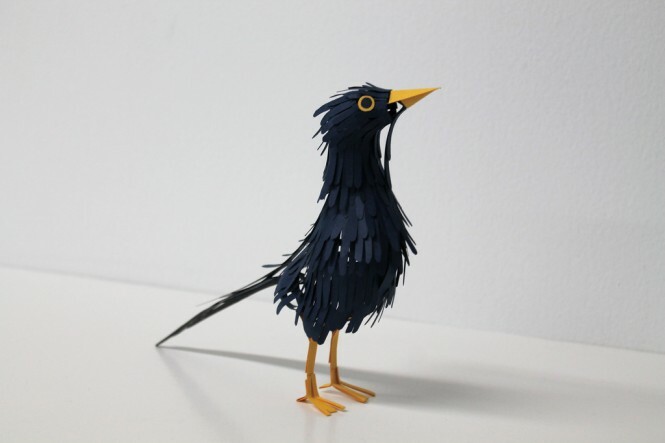 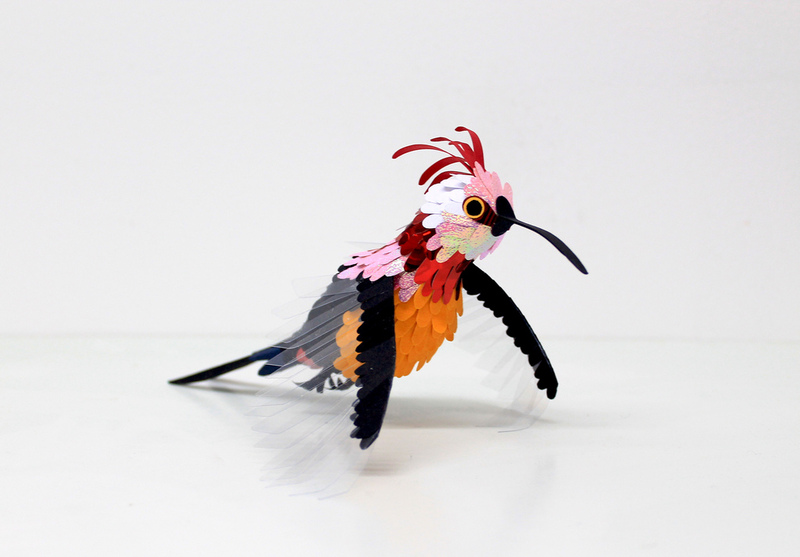 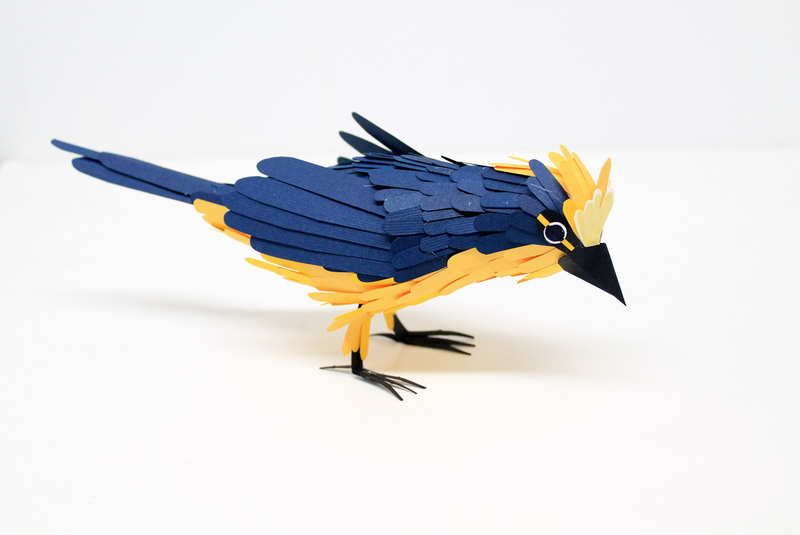 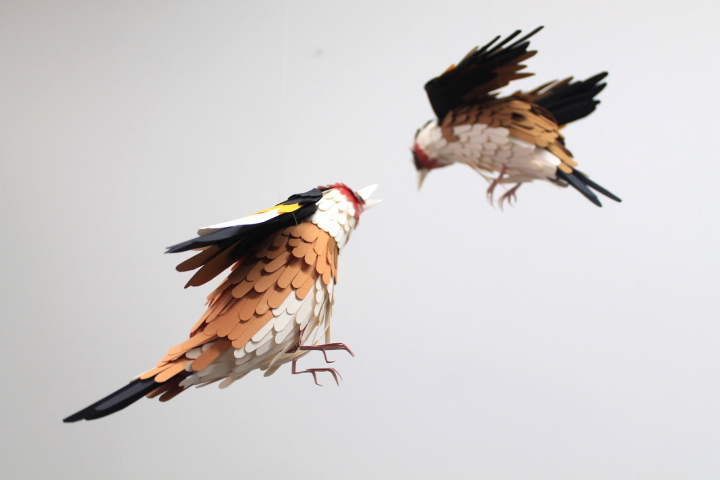 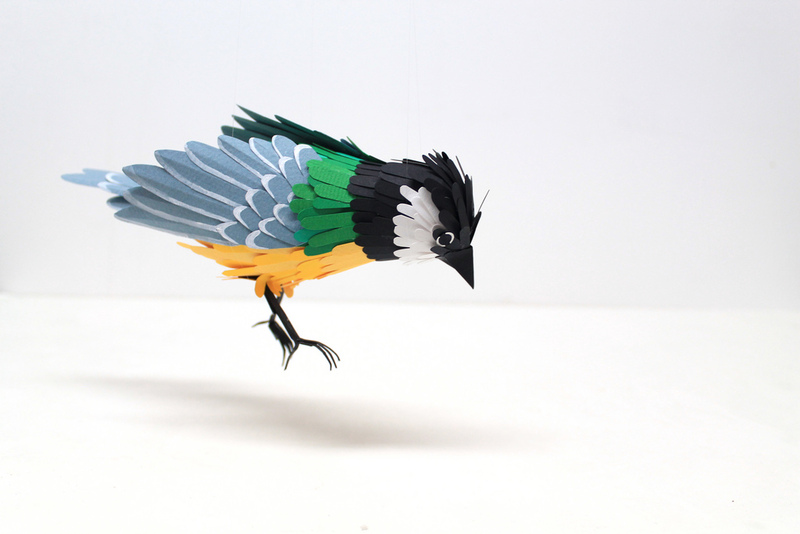 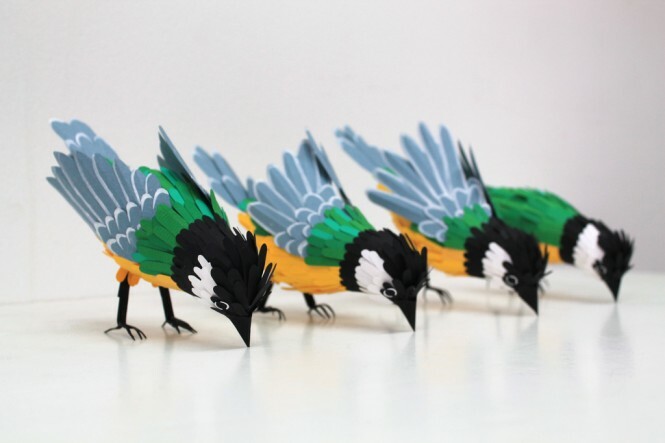 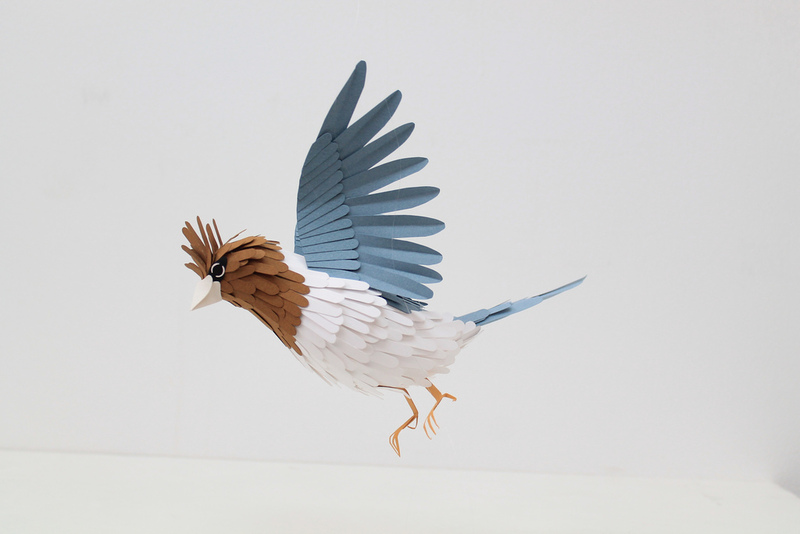 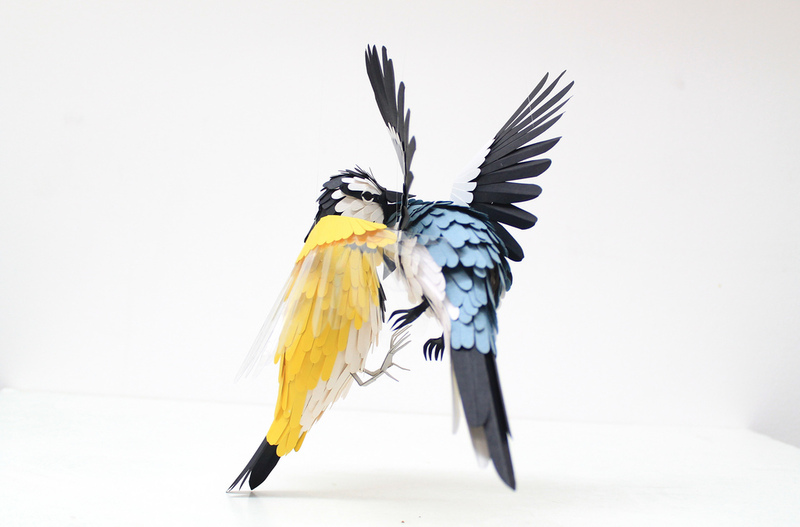 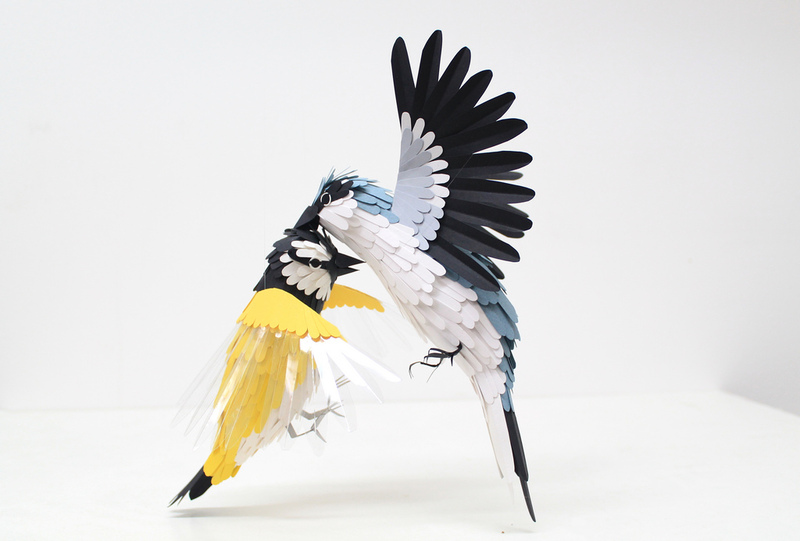 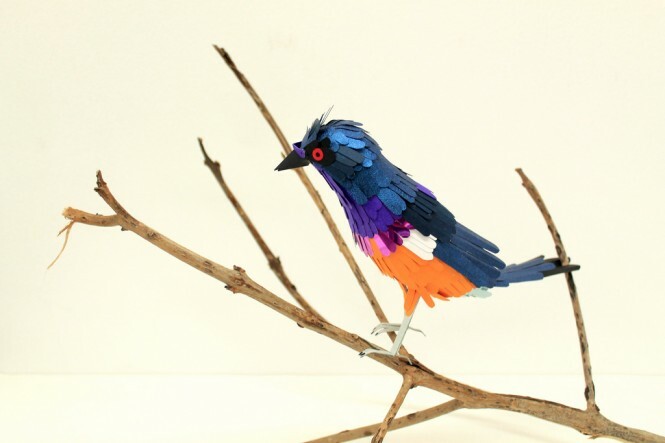 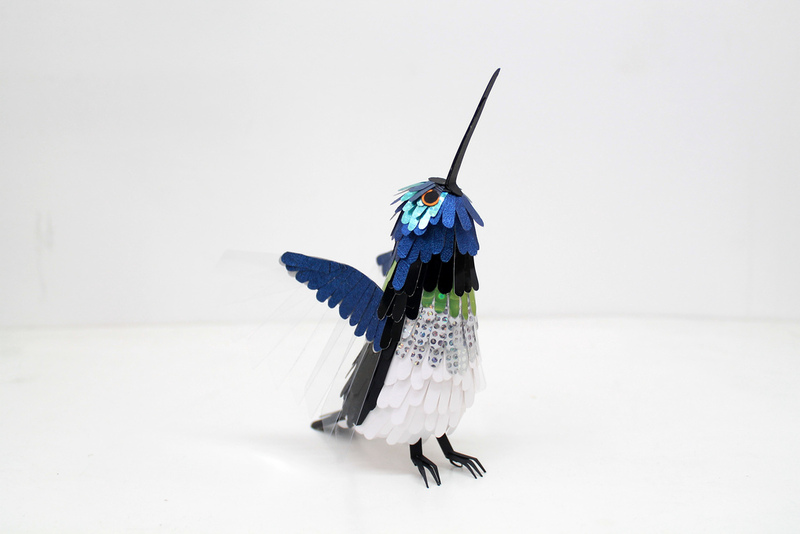 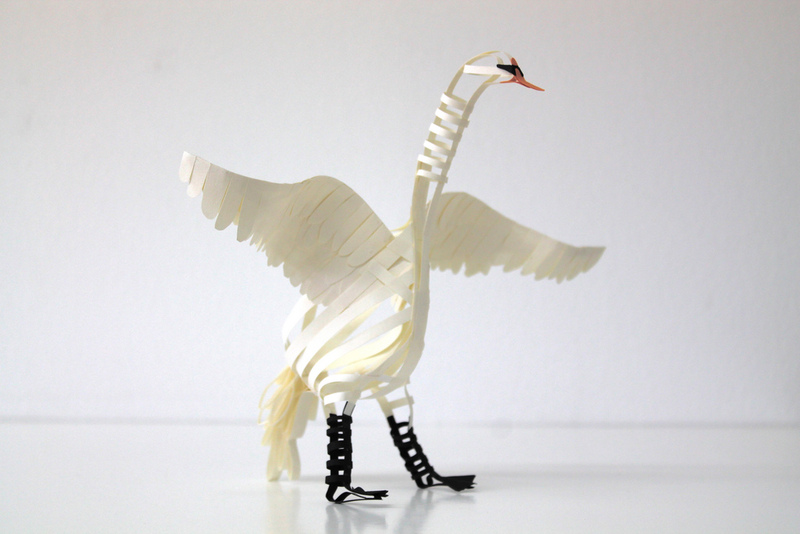 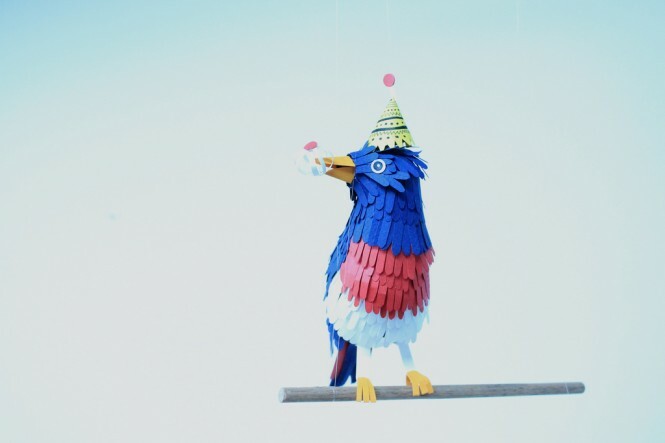 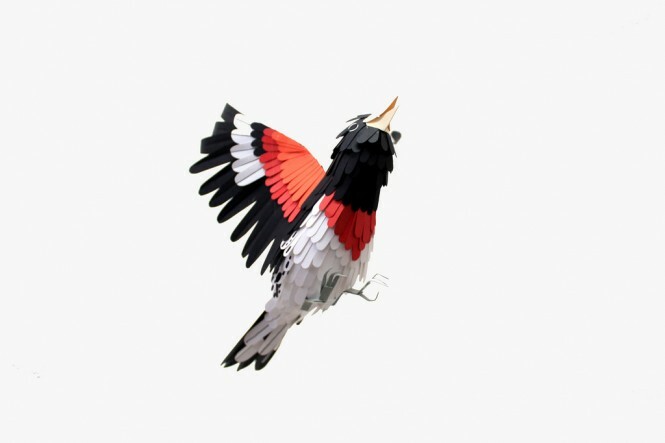 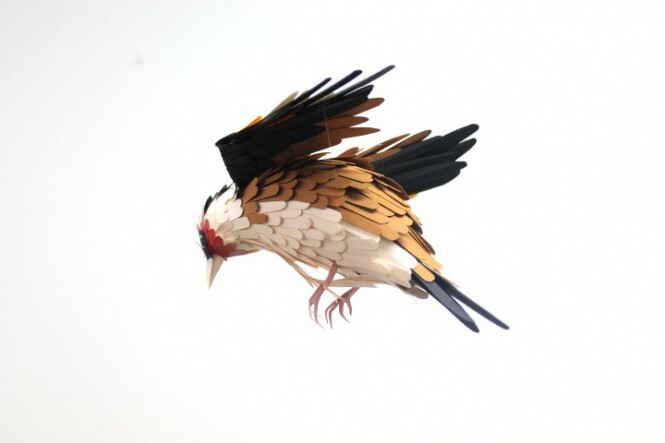 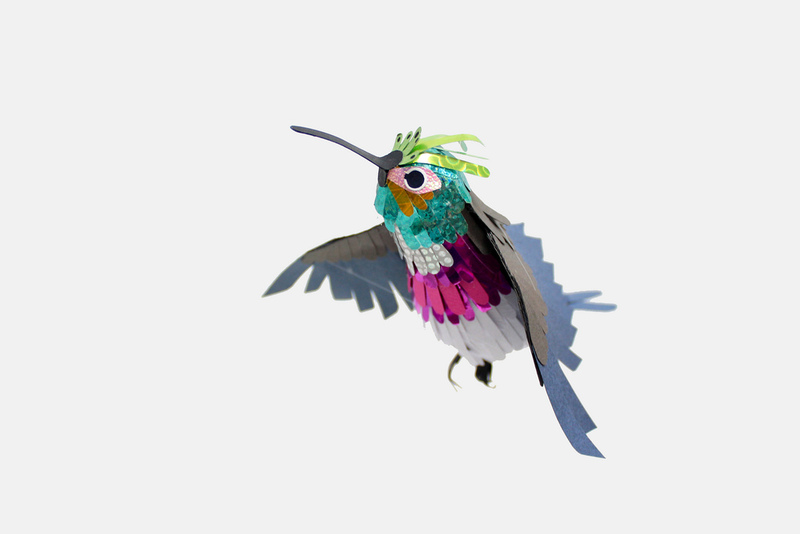 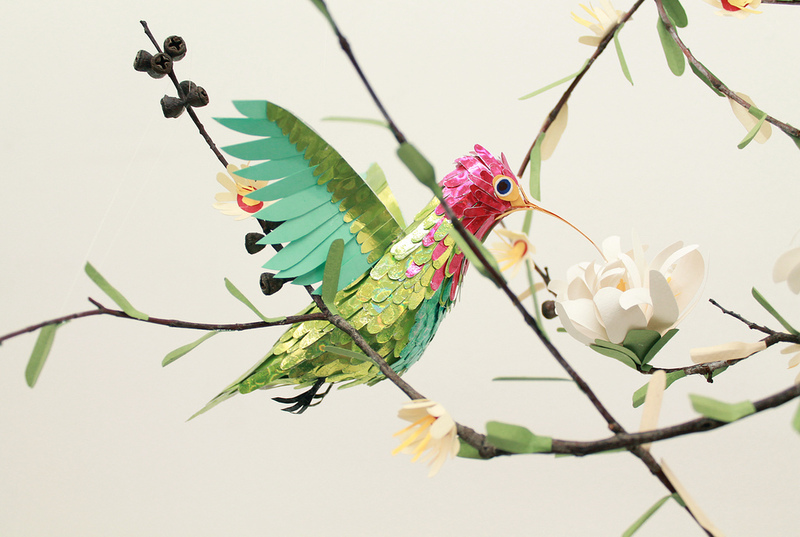 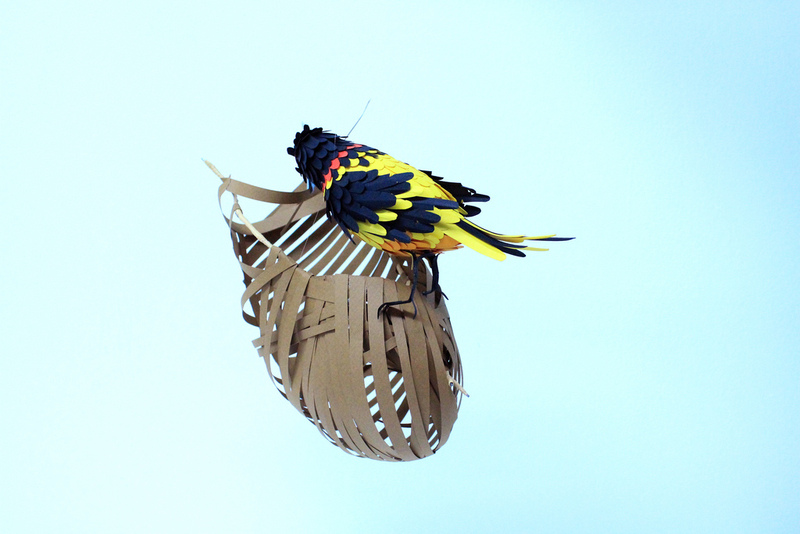 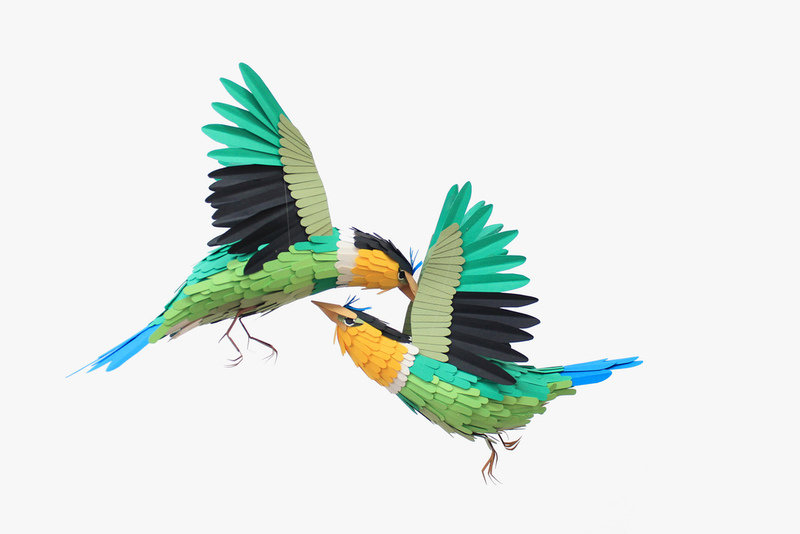 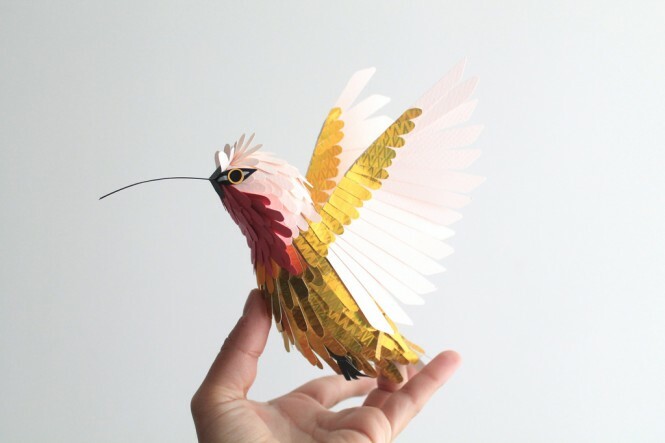 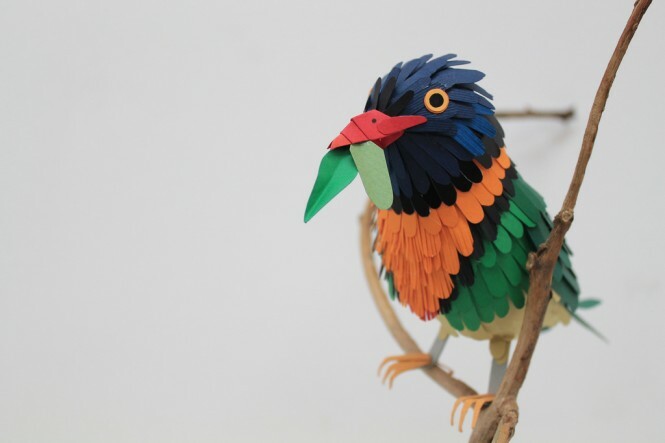 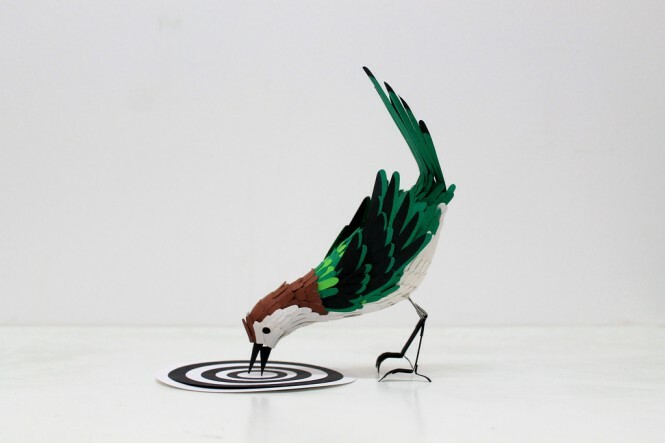 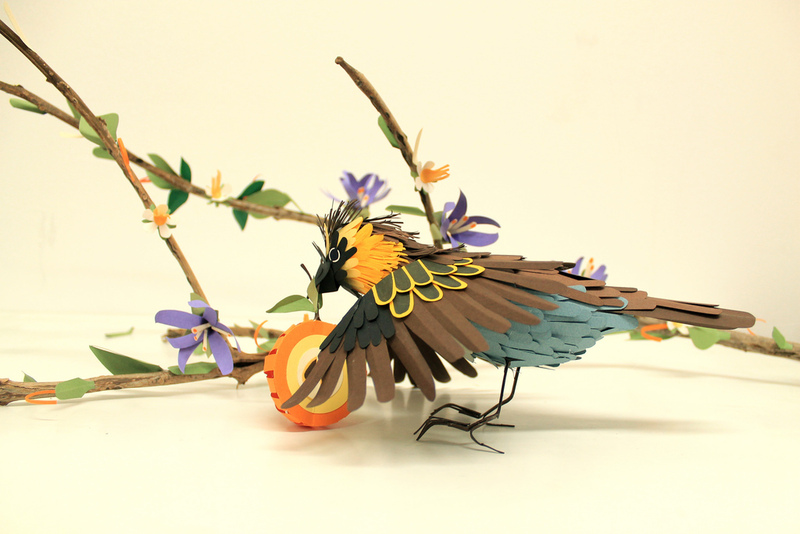 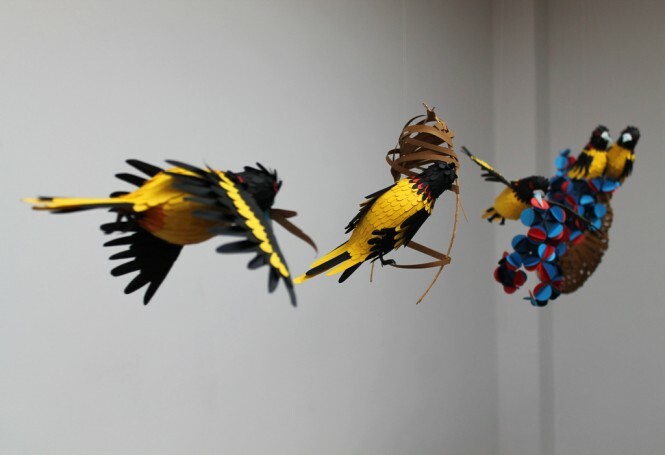 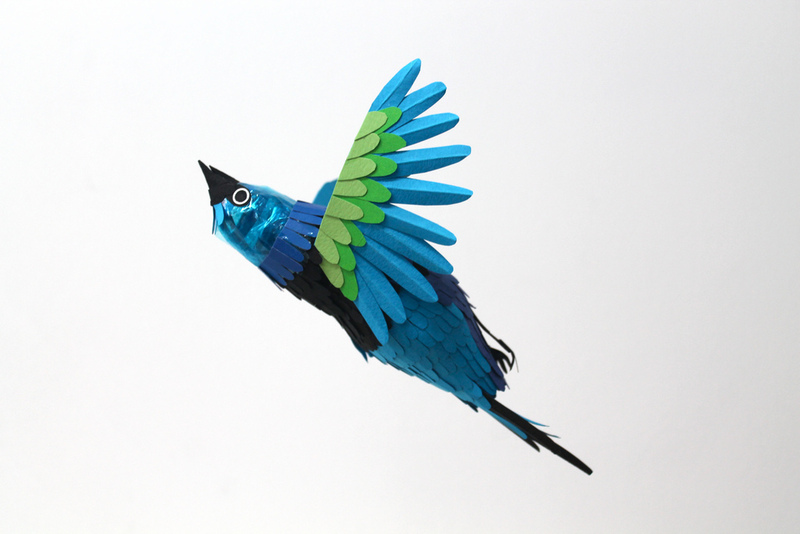 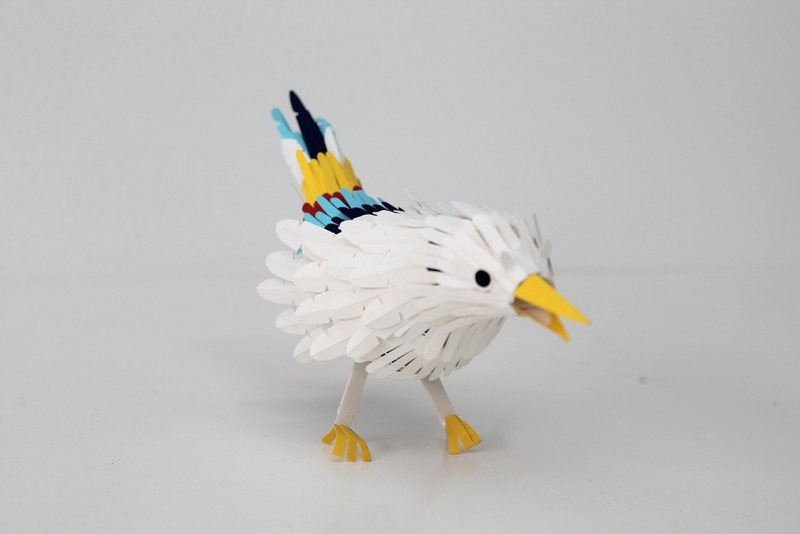 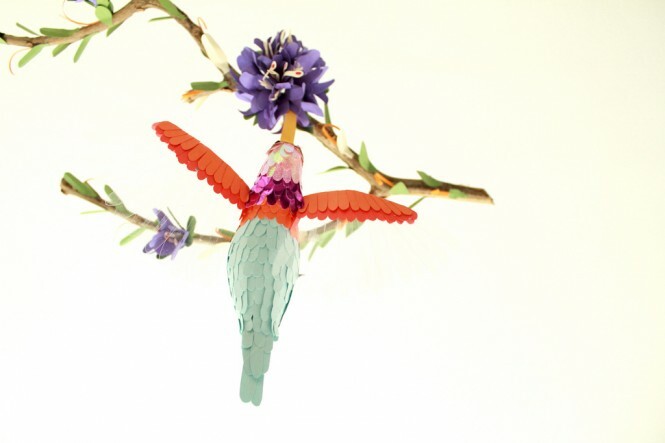 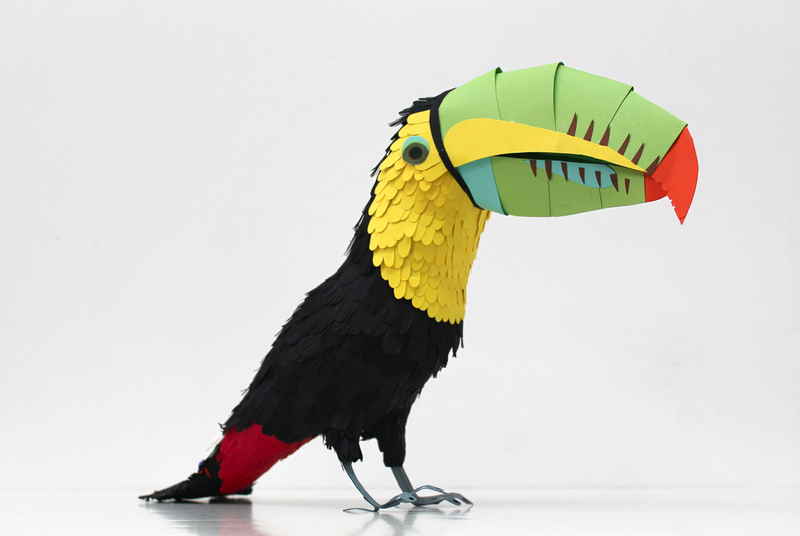 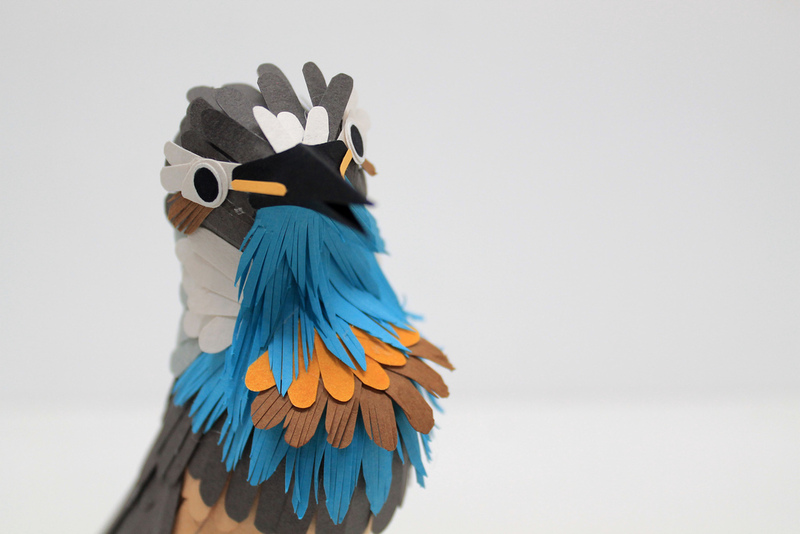 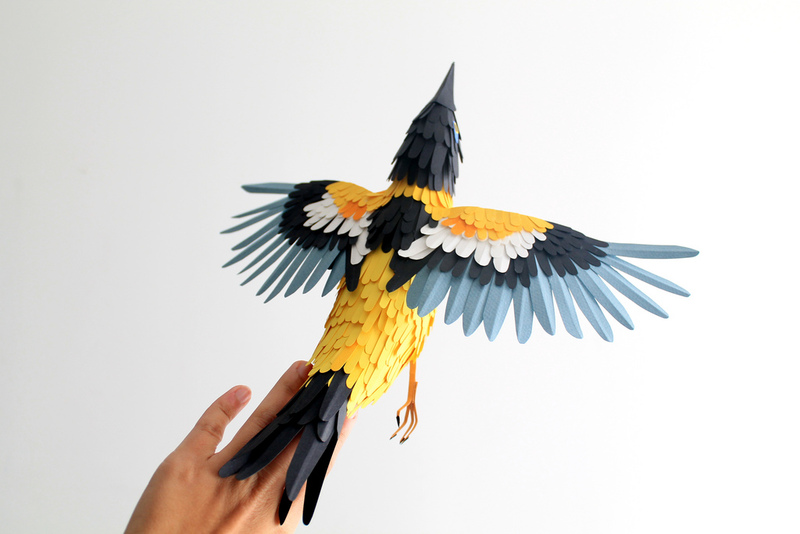 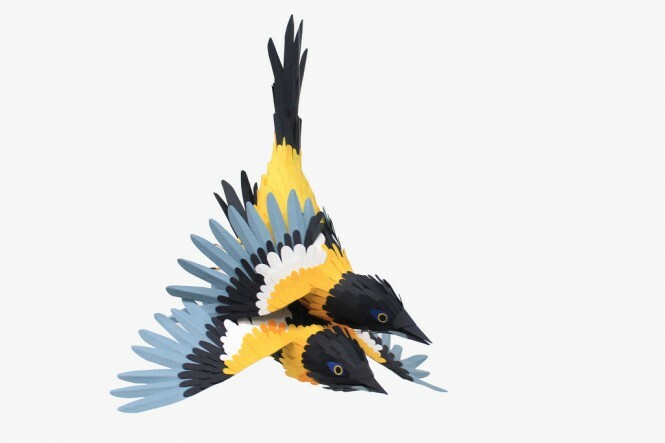 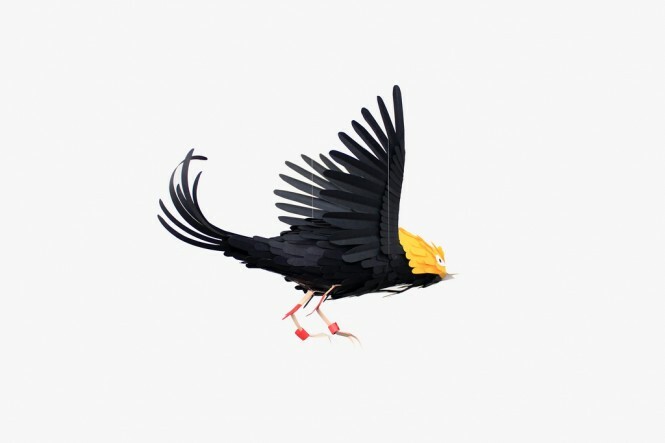 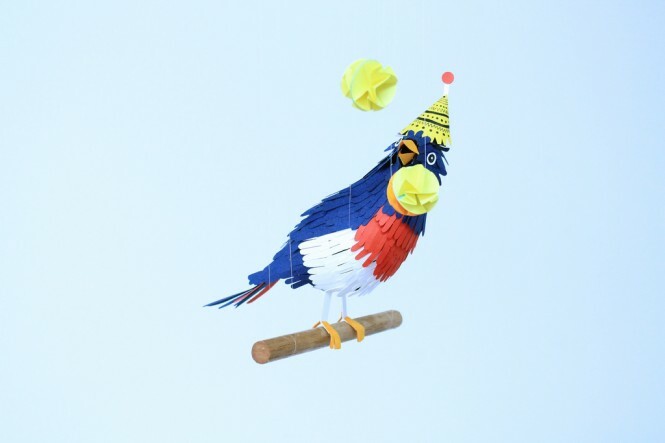 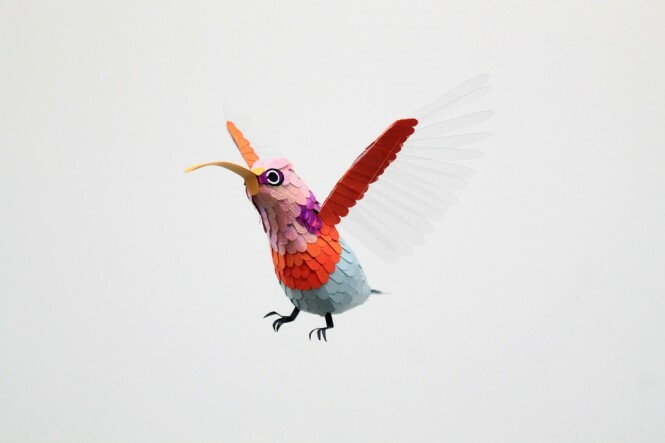 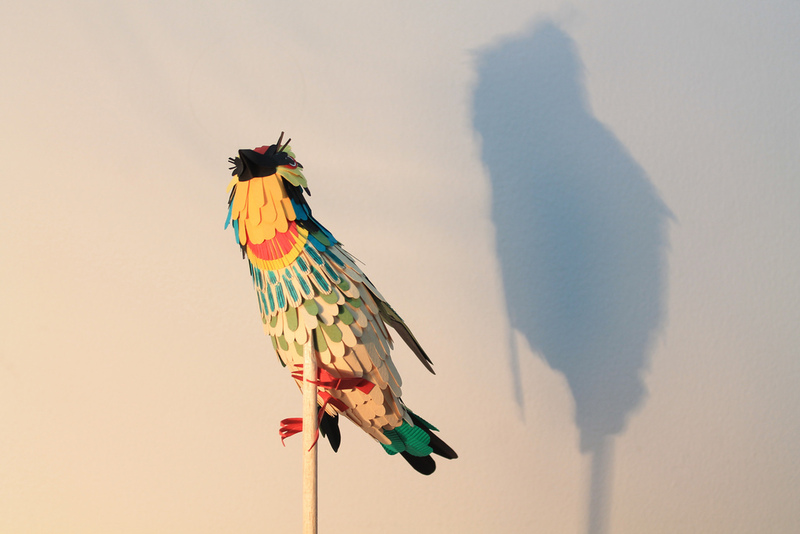 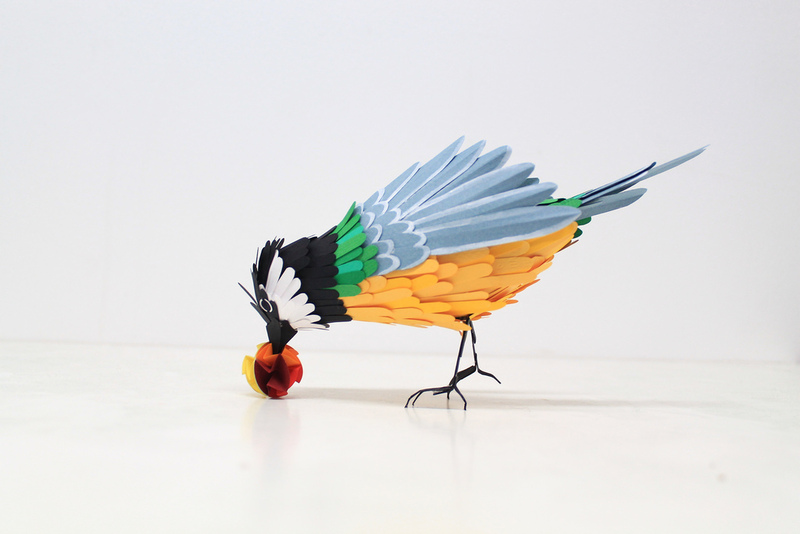 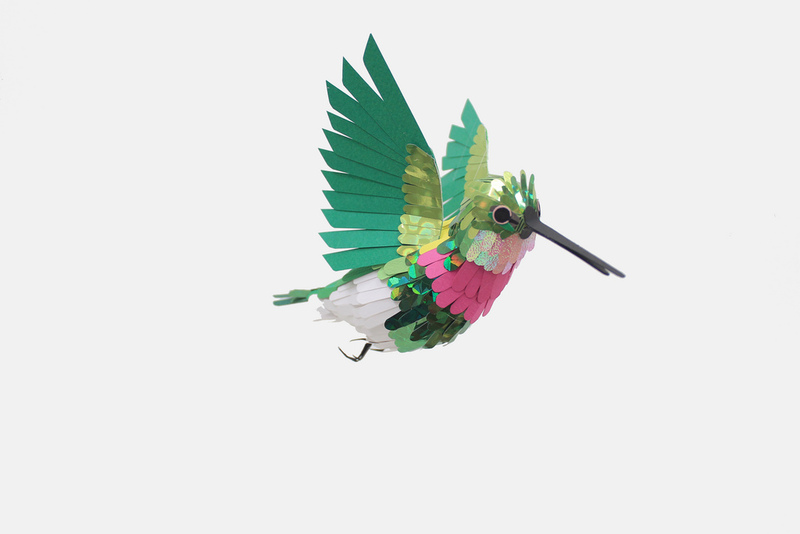 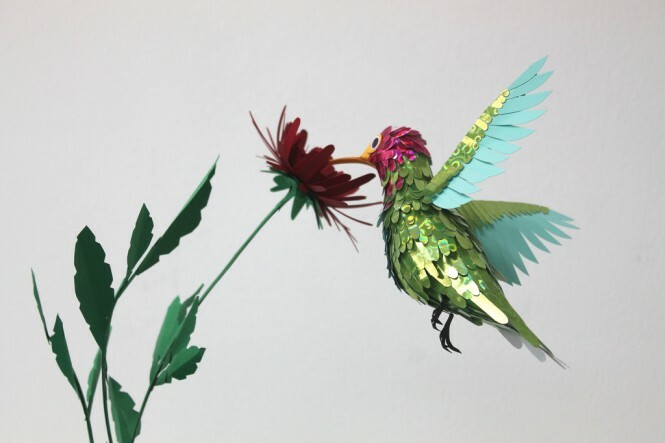 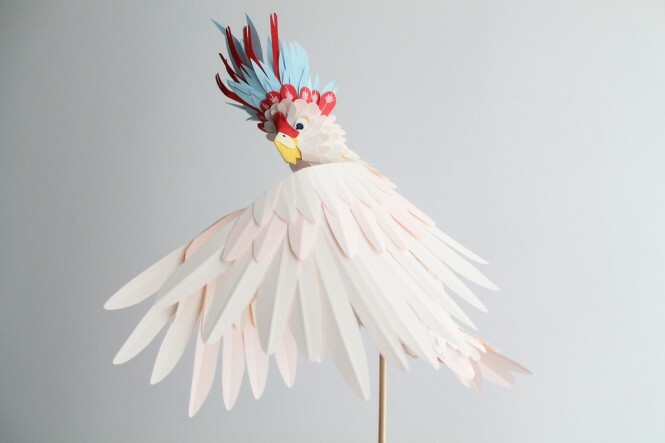 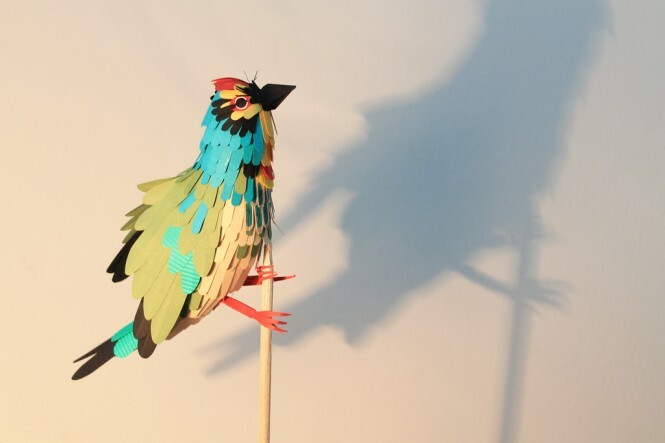 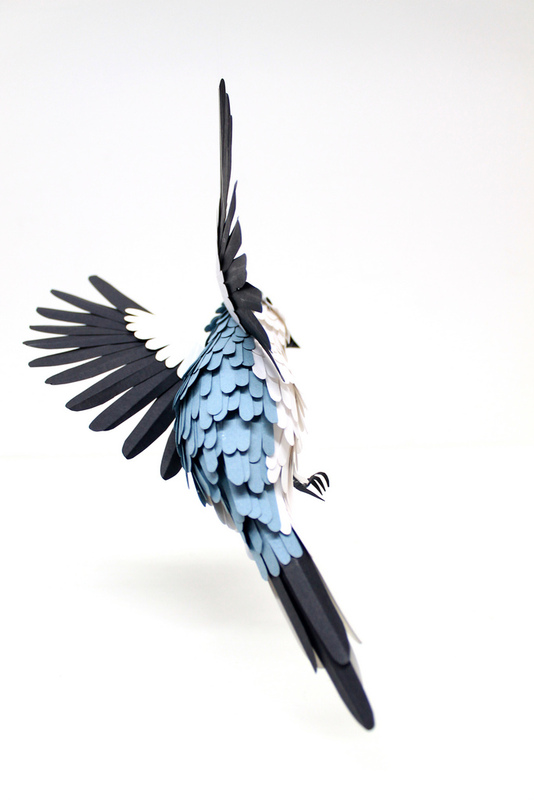 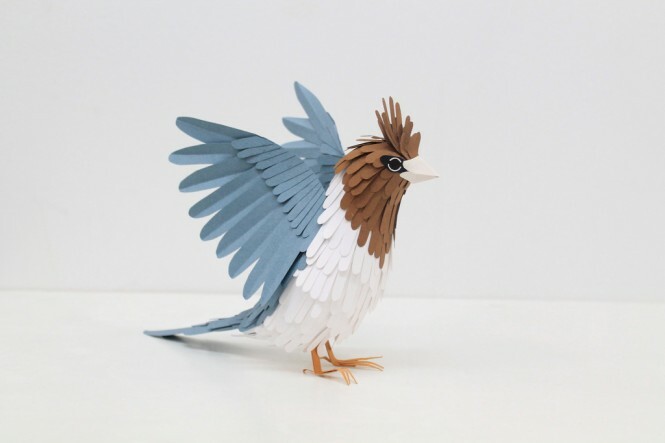 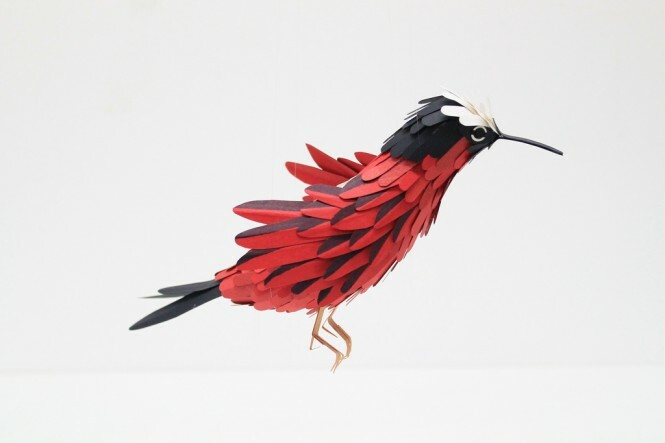 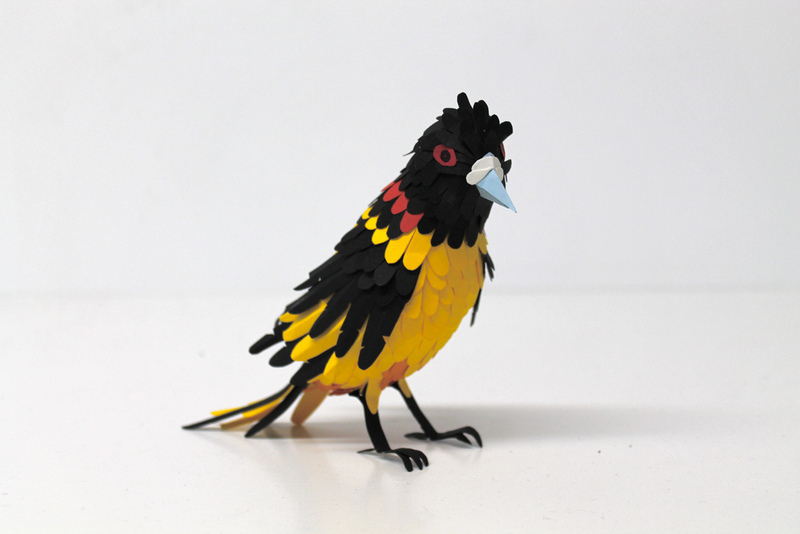 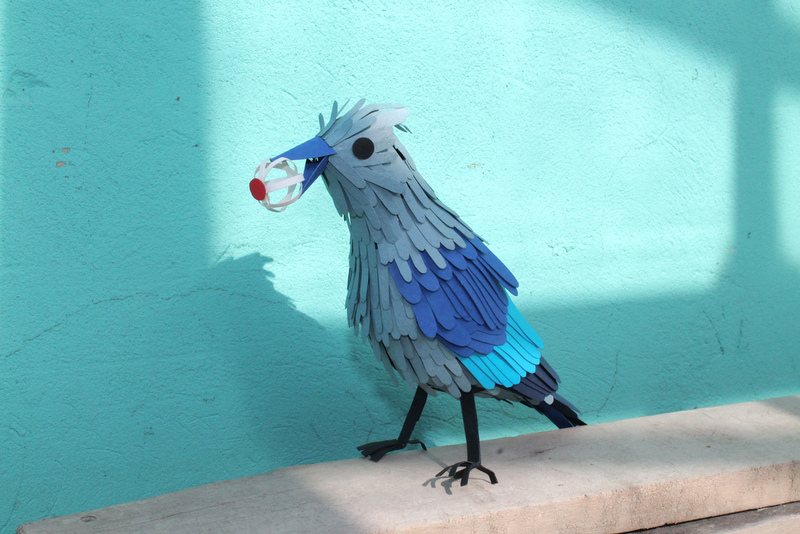 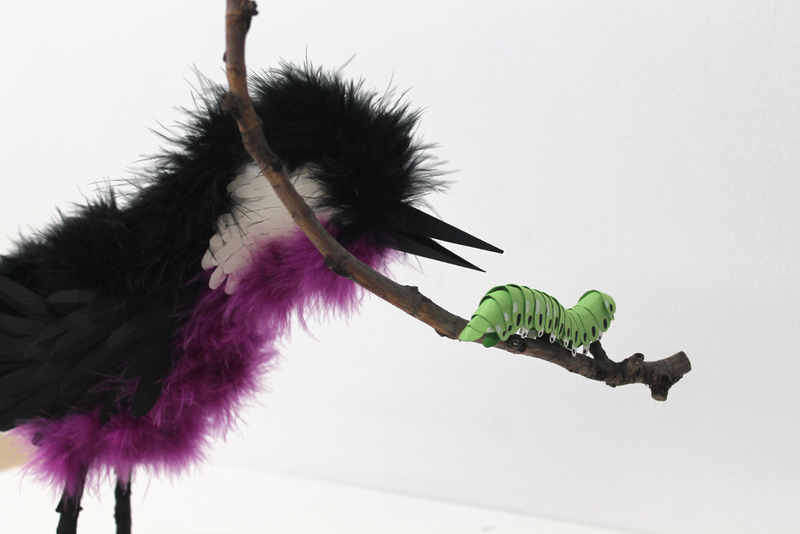 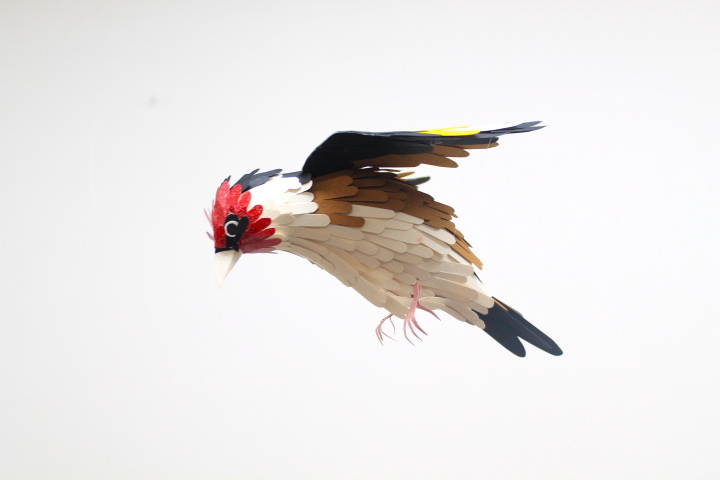 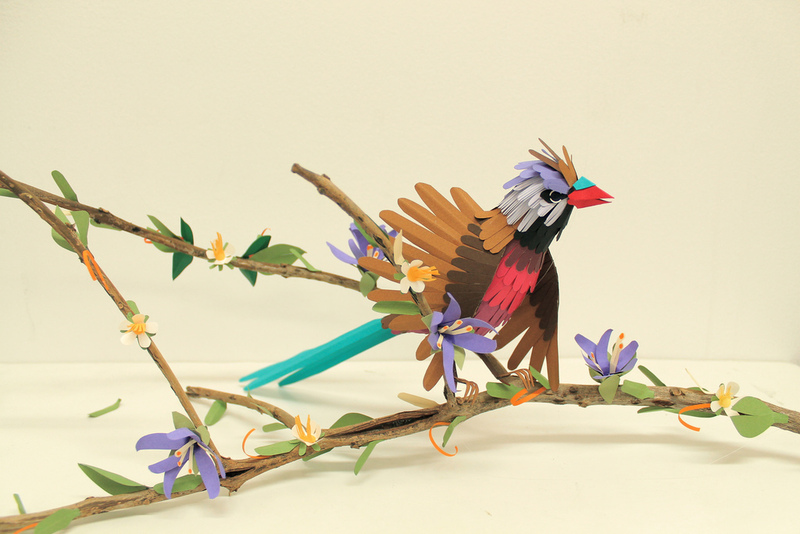 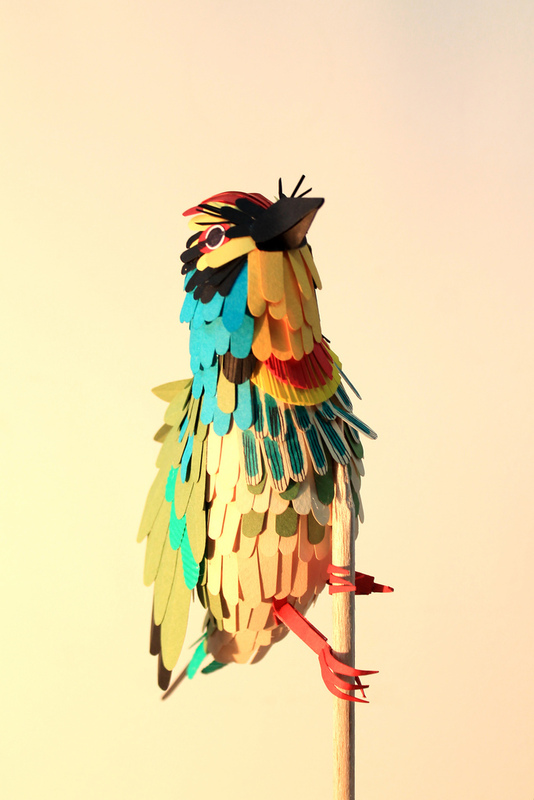 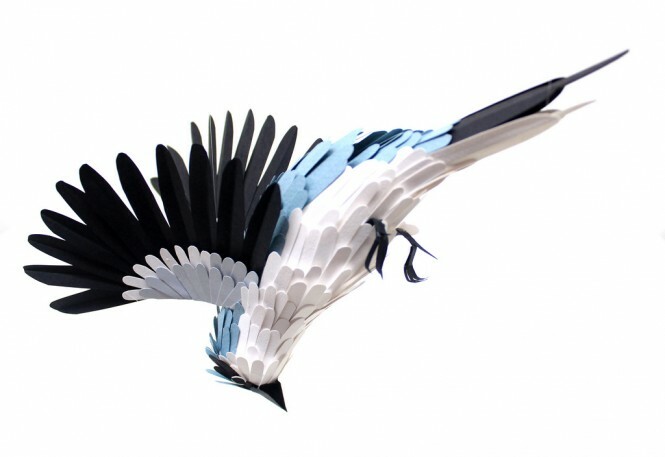 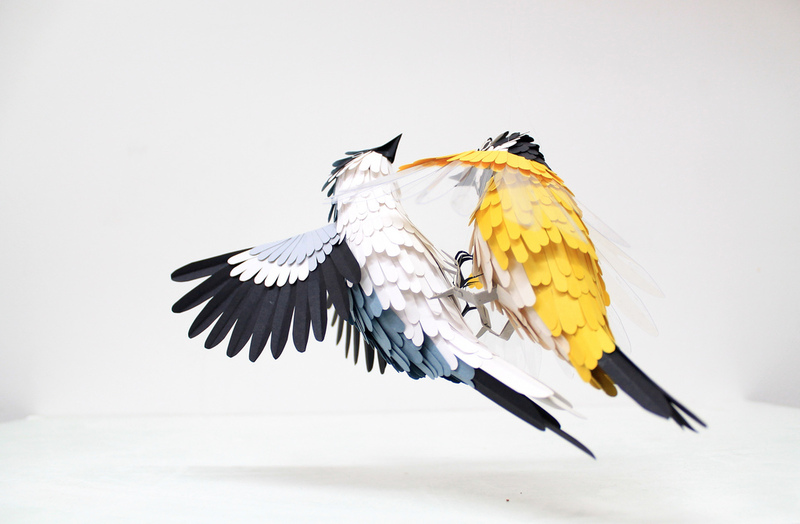 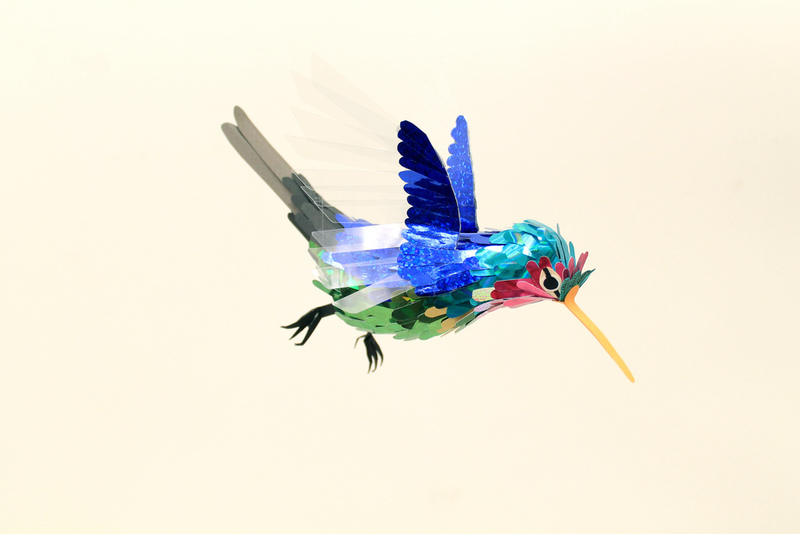 Prolific in her work, Diana Beltran Herrera has created literally hundreds of paper pals, ranging from Goldfinches in graceful flight, to nest building mates and caterpillar hunters! 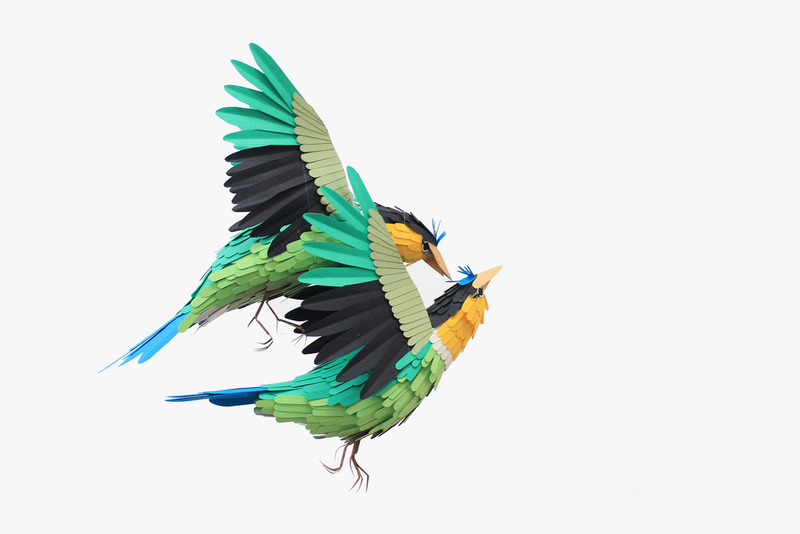 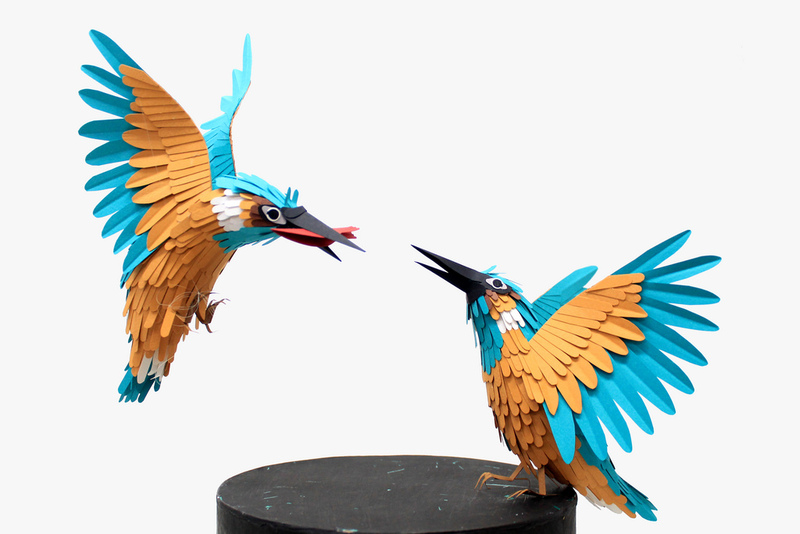 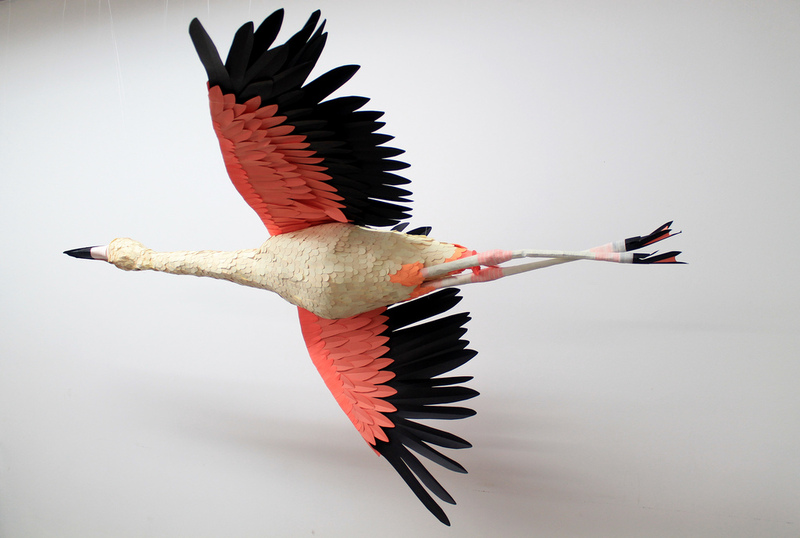 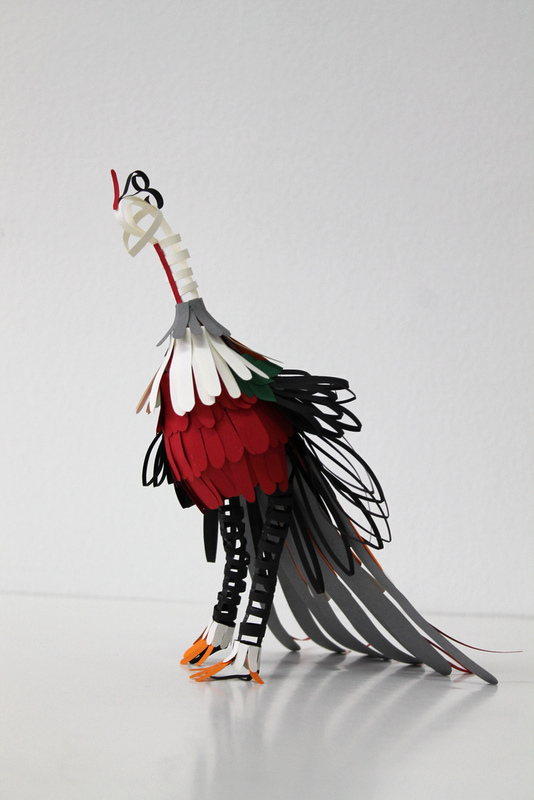 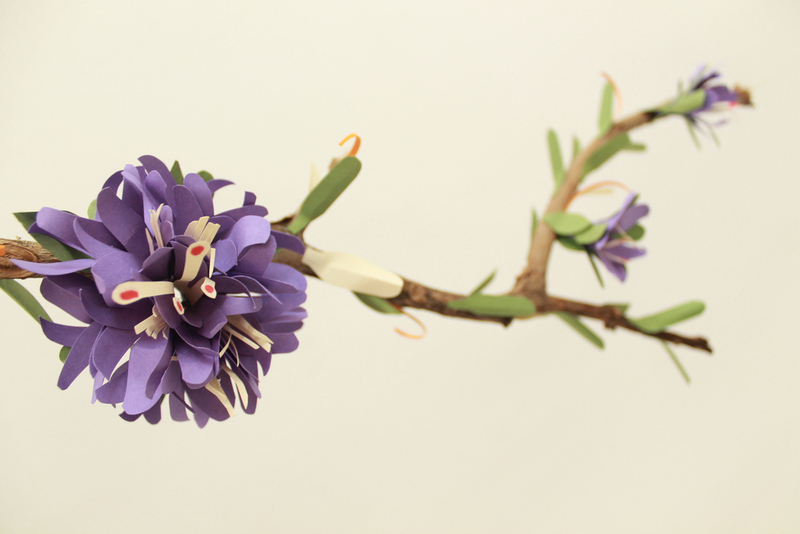 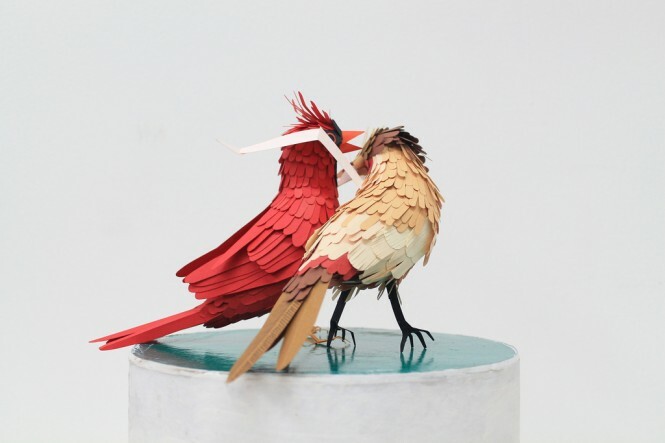 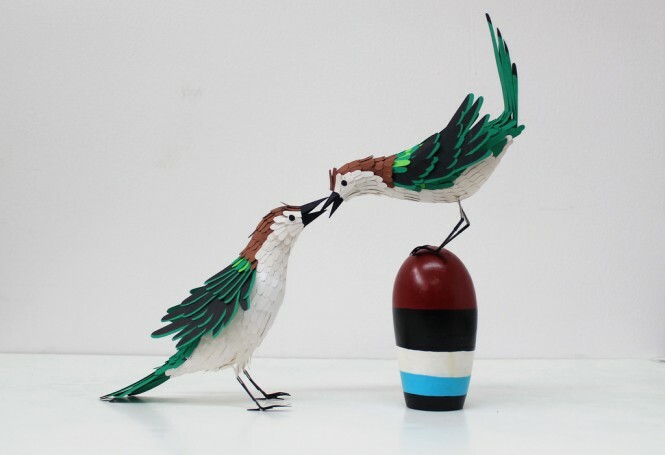 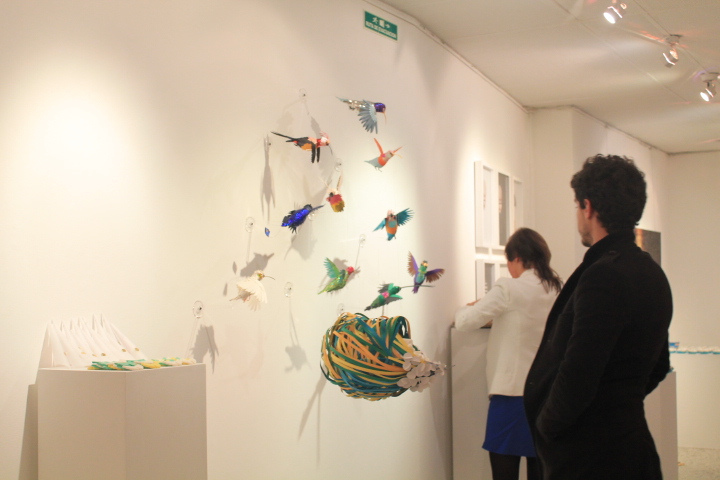 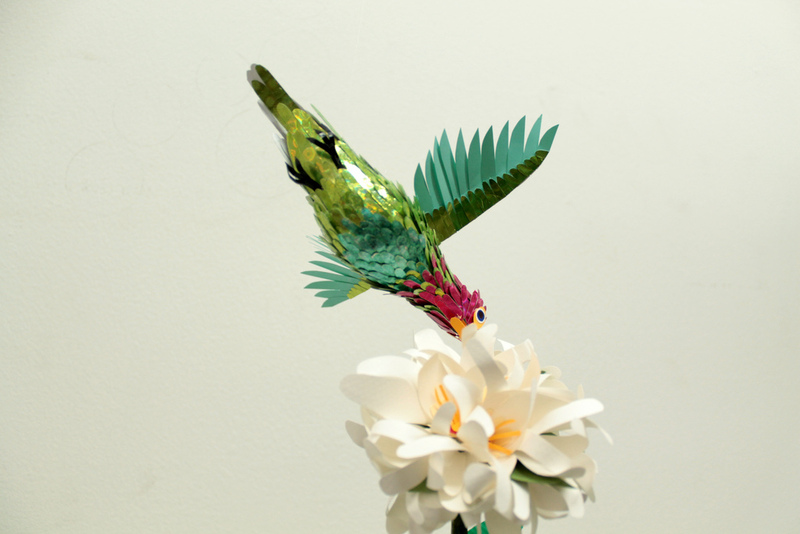 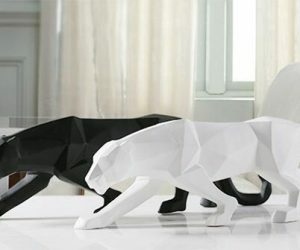 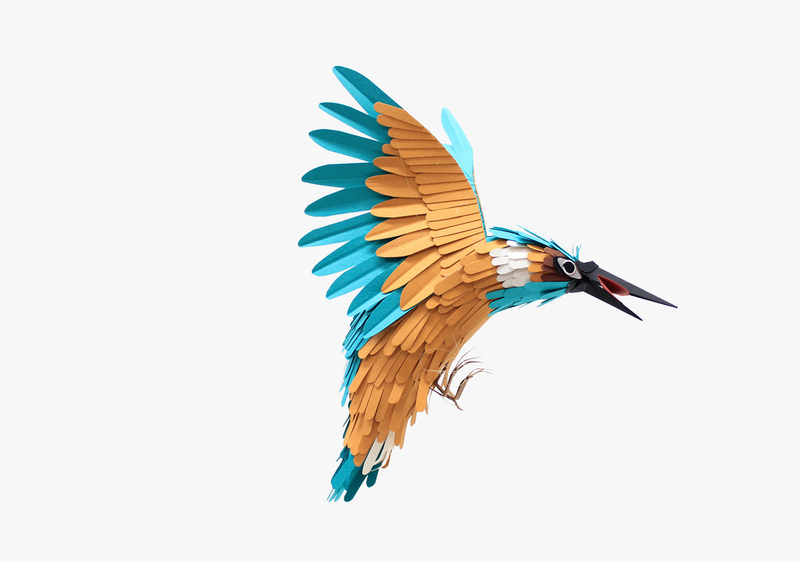 Building new paper-craft birds, fish, animals and plant life almost daily, Herrera’s gallery grows and multiplies wildly, just like in nature itself.